As a part of our Low Approach spotting trip to Madrid during the month of May 2017 we also visited the Museo del Aire at Cuatro Vientos. This museum is the official collection of historic aircraft once used in the Spanish Air Force. Military aviation in Spain started in 1909 when Colonel Pedro Vives Vich and Captain Alfredo Kindelan visited several European countries to investigate the potential of various aircraft for a possible military use. As a result a civil National Aviation School, Escuela National de Aviación, was created in 1910. 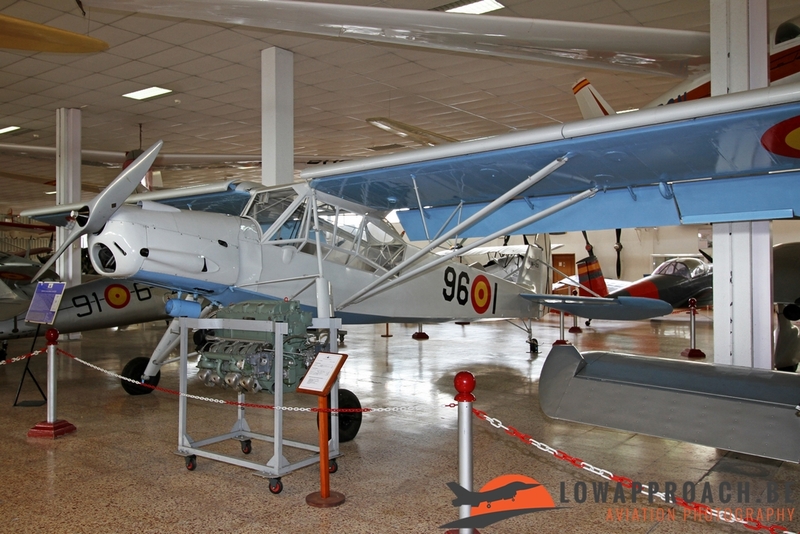 A short time later this civil institution became militarized under the name Aeronáutica Española, when Colonel Vives Vich was chosen to lead it as director of the Aeronáutica Militar, the name of the air arm of the Spanish Army. These early years are represented in the museum by number of replicas that are on display in Hangar One. Here we see a Wright Flyer, Blériot XImod (a version build under license by Vilanova-Acedo). From France Spain acquired a number Morane-Saulnier G aircraft and the Nieuport IVG. 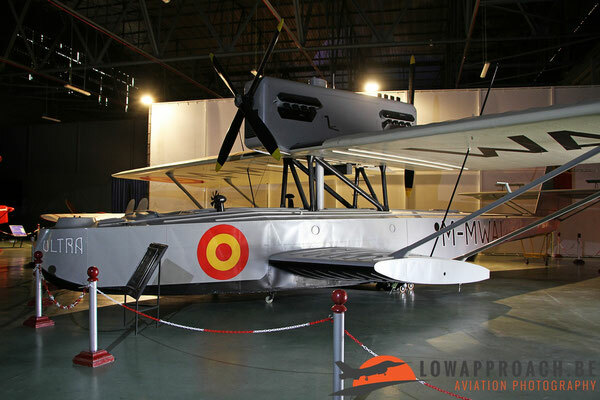 Britain supplied the Avro 504K, the De Havilland DH4 and the Bristol F2B, and Germany amonst others a Dornier J Wal flying boat. 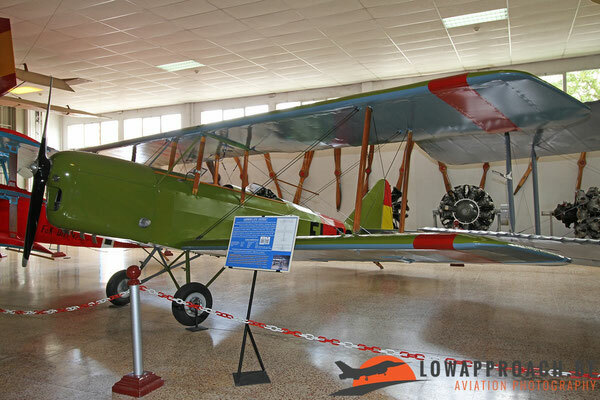 Finally from the Netherlands we see a Fokker C.III. 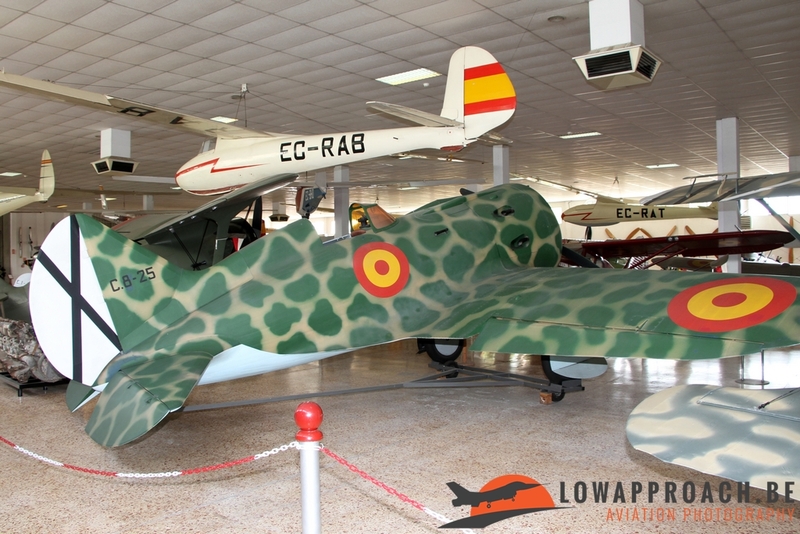 In 1936 a major conflict started within Spain, the Spanish Civil War, that lasted until 1939. The Republicans who were loyal to the democratic left Second Spanish Republic fought against the Nationalists, a largely aristocratic conservative group led by General Franco. 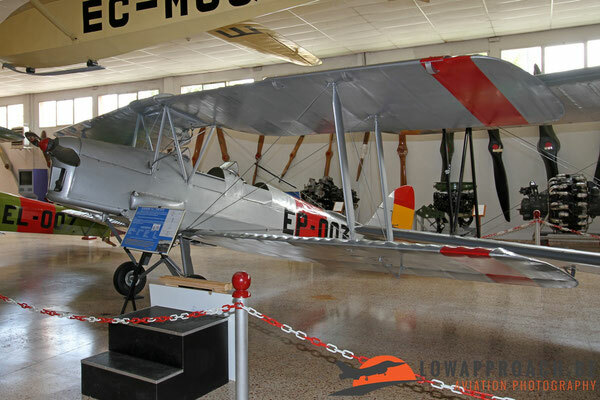 Both sides had their own air force, the 'Fuerzas Aéreas de la República Española', the Spanish Republican Air Force, and the 'Fuerza Aérea Nacional', theµmilitary air units supporting General Franco. 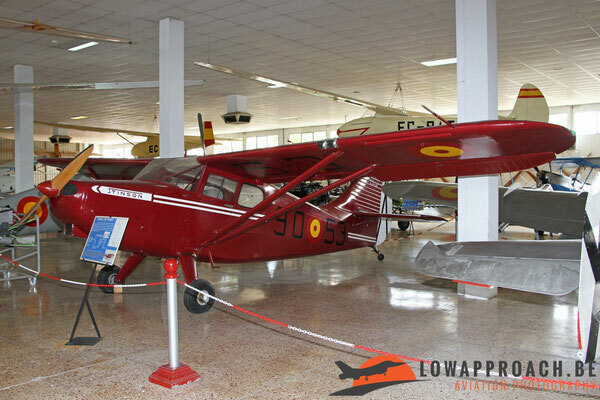 The first source of aircraft of the Nationalists was the Spanish Republican Air Force. 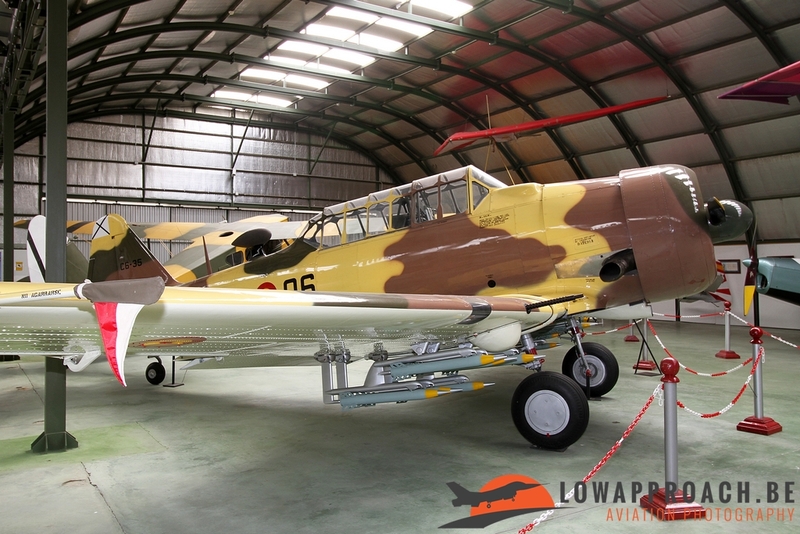 Several captured aircraft were repainted in Nationalist colors and put back into action. 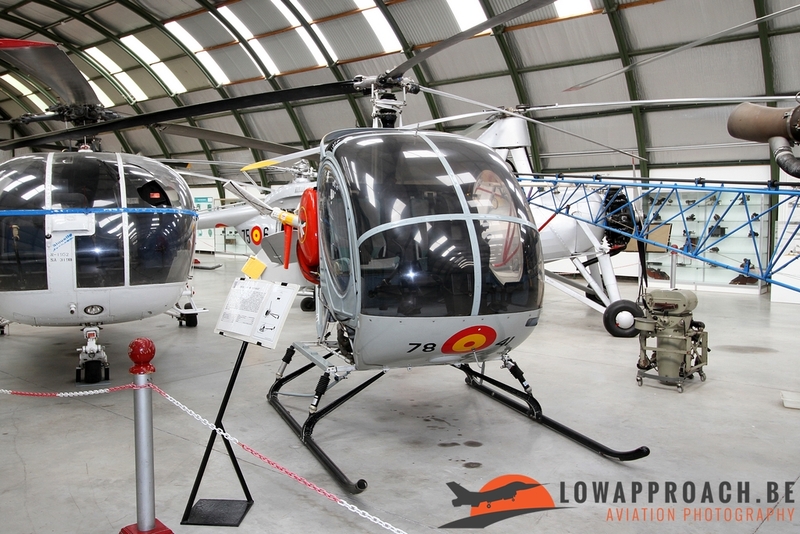 This can also be seen on various aircraft in the museum. 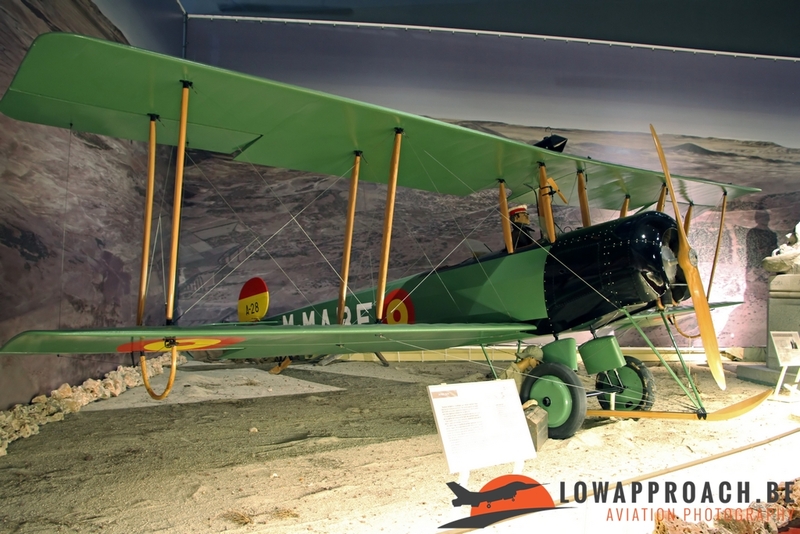 For display purposes they have the Republican color scheme on one side of the aircraft and the Nationalist colors on the others. The Republican aircraft carry the red, yellow and blue, the colors of the flag of the Spanish Republic on the tail, where the Nationalists carry a black roundel and a black cross on a white background on the tail. Painted as such we see a Polikarpov I15 and Polikarpov I16, both supplied by the Soviet Union, a French Caudron C272 Luciole, a De Havilland DH60G-3 Moth Major, DH82A Tiger Moth and a Miles M2H Hawk Major from Britain. 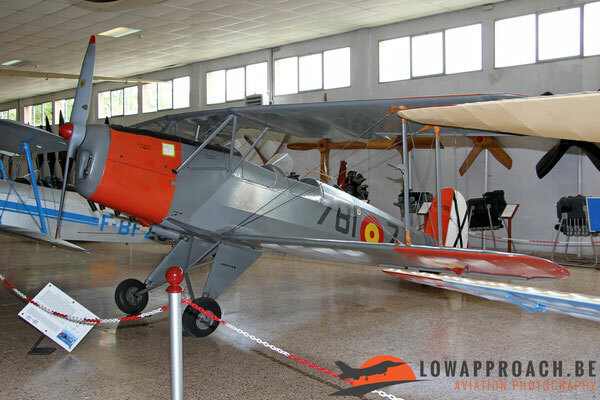 In those days also a number of Spanish designed aircraft were in use, like the Hispano-Suiza HS34. 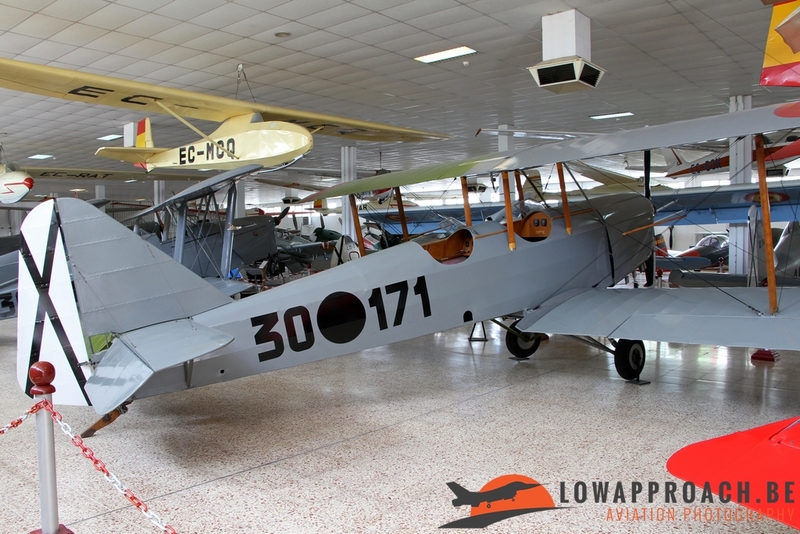 Other Republican aircraft on display are a Morane-Saulnier MS181, Morane-Saulnier MS230 and Farman 402 from France and a De Havilland DH87A Hornet Moth from Britain. 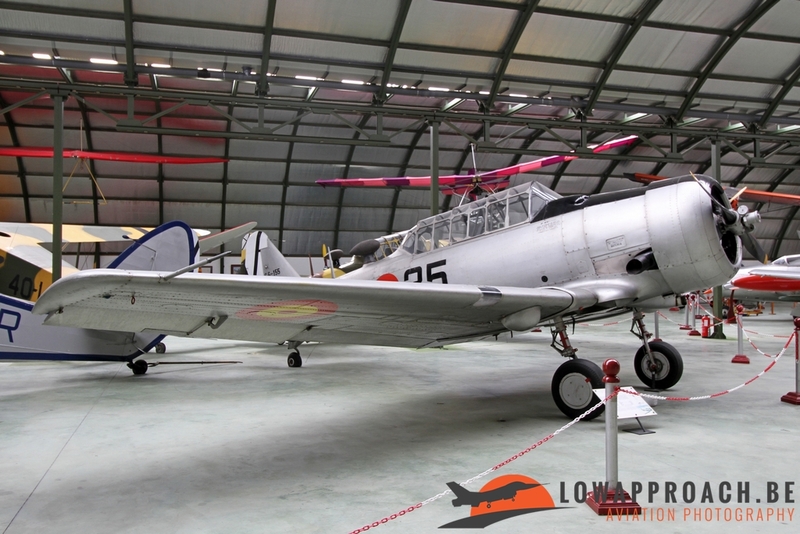 During the conflict both sides gained support from other countries and political movements. 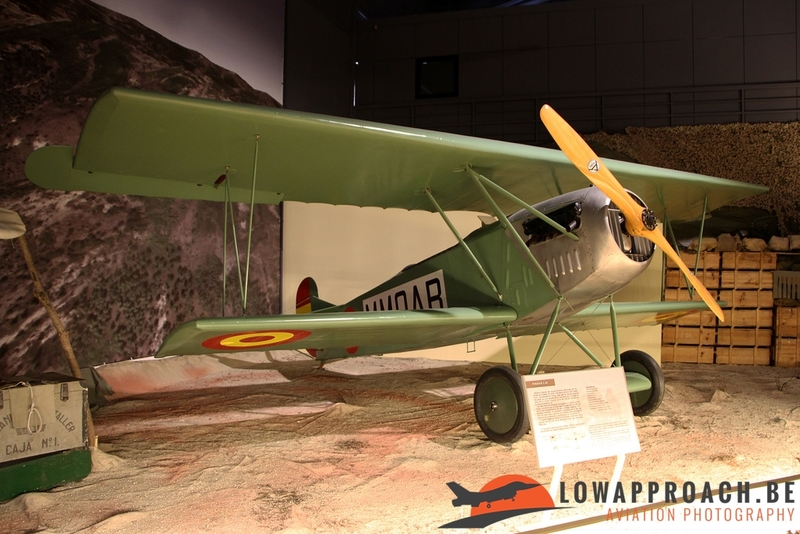 The Nationalists also gained aviation support from other countries. 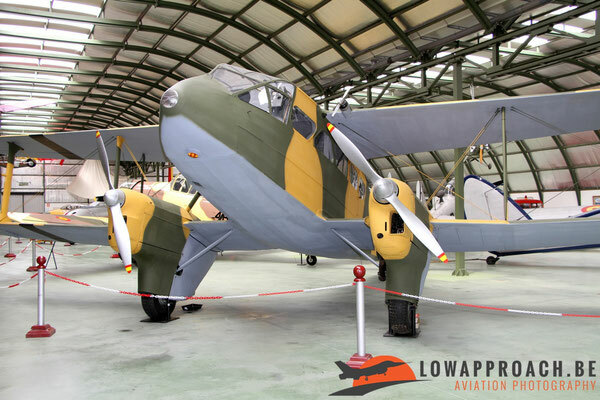 Nazi Germany joined in the battle via the 'Condor Legion' equipped with Luftwaffe aircraft and crews. This war was considered the ideal learning spot for the Luftwaffe in preparation of another major conflict they had planned to start in 1939, the Second World War. Fascist Italy followed the same logic and send their 'Aviazione Legionaria' an expeditionary corps of the 'Regia Aeronautica Italiana', the Italian Royal Air Force. 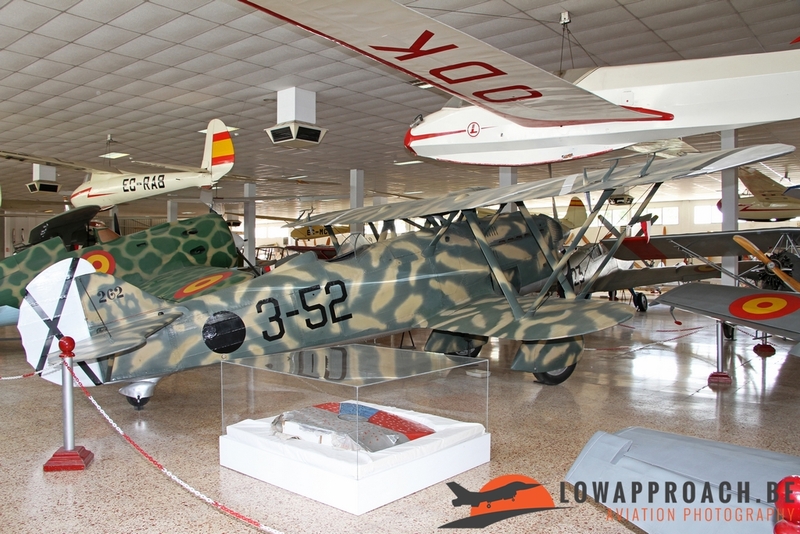 This German and Italian support is also reflected in the aircraft collection in the museum. 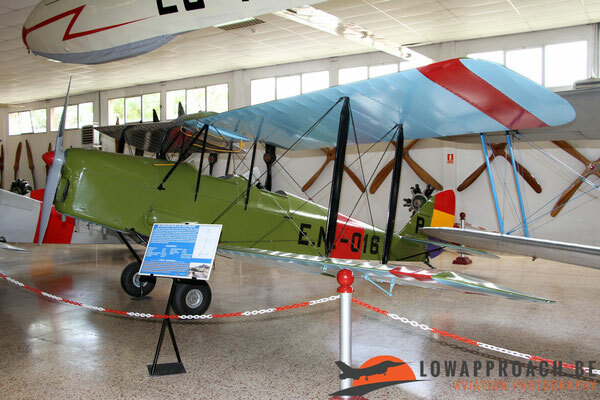 The Spanish company Hispano build several German and Italian designs during and after the conflict. 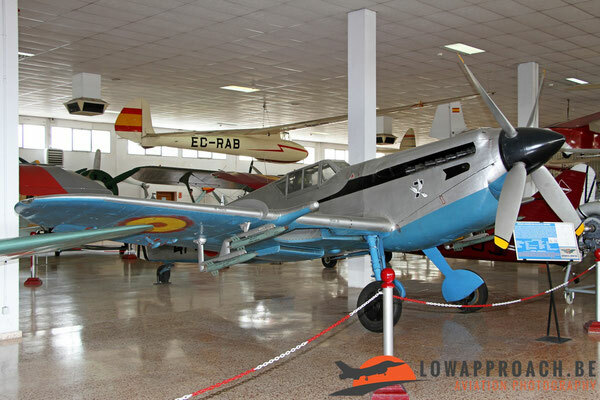 Here we see the Hispano HA1112K-1L and HA1112M-1L Buchon, license build versions of the Messerschmitt Bf109. The HA1112M-1L was a version from after the Second World War, when spares for the Daimler-Benz engines came rare, so the aircraft was re-engined with Rolls-Royce Merlins. 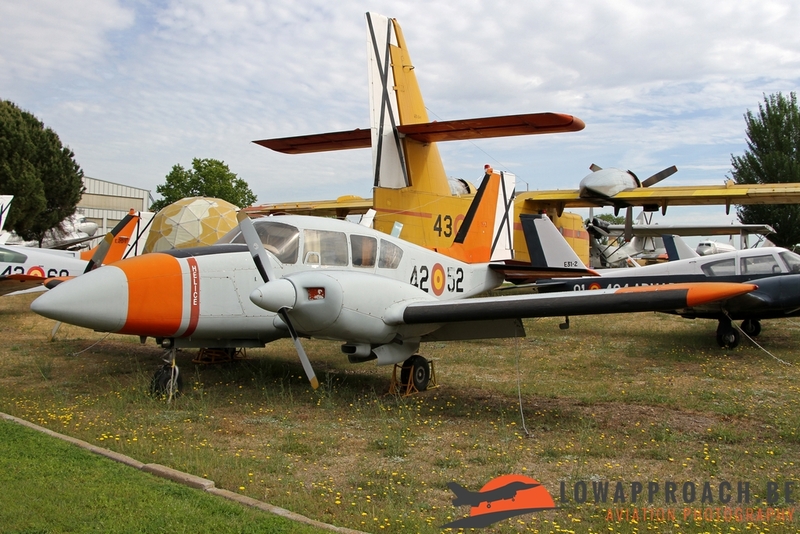 Many of these Merlin-powered Buchons are still airworthy, with an increasing number now being converted back to Daimler-Benz powered variants. 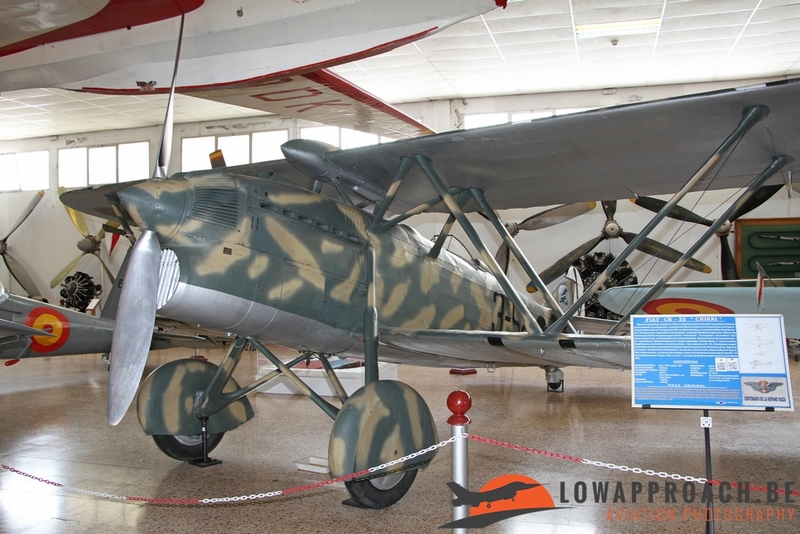 Another German aircraft on display in this section is the Fieseler Fi156C2 Storch. 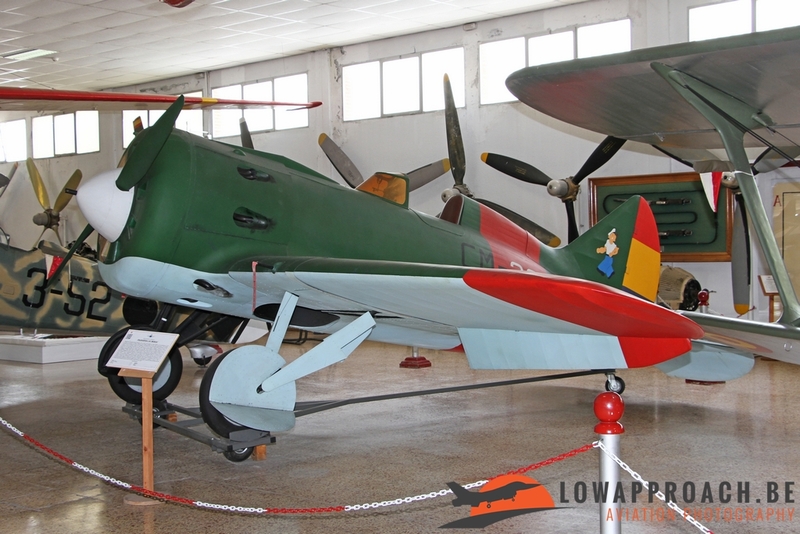 Hispano also build some Italian designs, like HA132L 'Chirri', based upon the Fiat CR32. In early 1939 the Spanish Civil War came to an end when the General Franco's Nationalist troops conquered large parts of Spain. 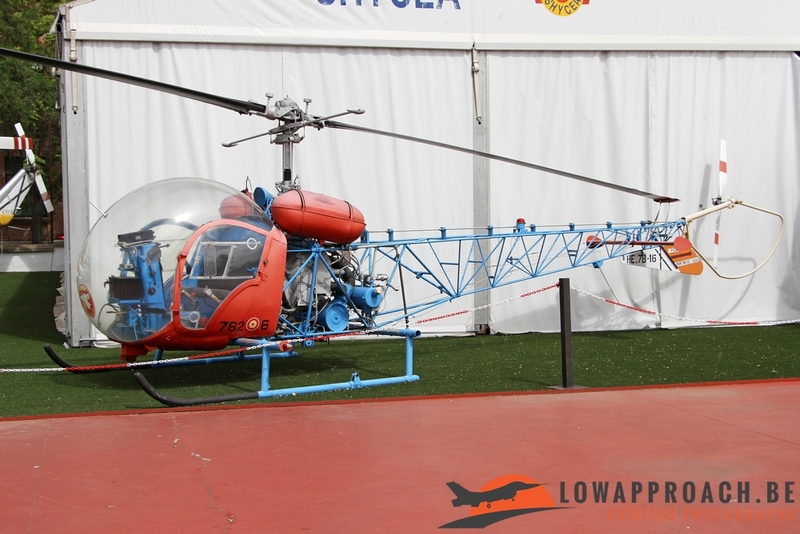 By the end of March the whole territory was under his control and the conflict had ended. It is not the aim of this report to describe the conflict itself in great detail, other sources are better suited for that. 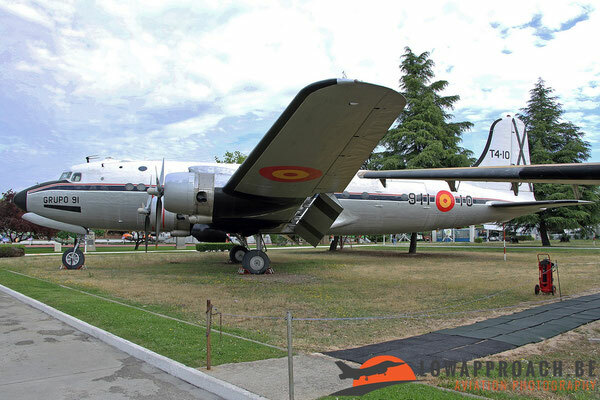 On October 7th, 1939 the present Spanish Air Force, Ejército del Aire, was established. The Nationalist black roundel was replaced by the yellow and red roundel we still know today, but the black cross on a white background remained as the fin flash, and this until the present day. One of the Nationalist supporters was Juan de la Cierva y Codorniu, a Spanish civil engineer, pilot and aeronautical engineer. 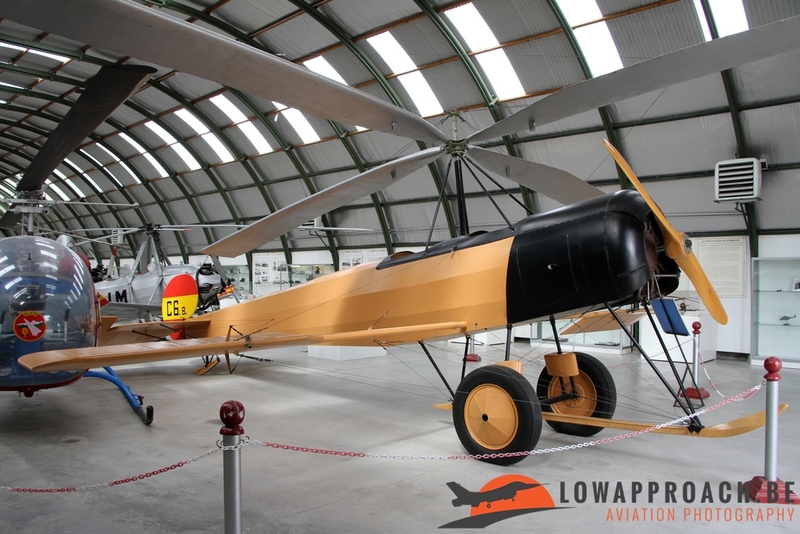 His most famous invention was the autogyro in 1920. He developed an articulated rotor, which resulted in the world's first successful flight of a stable Rotary wing aircraft in his C4 prototype. 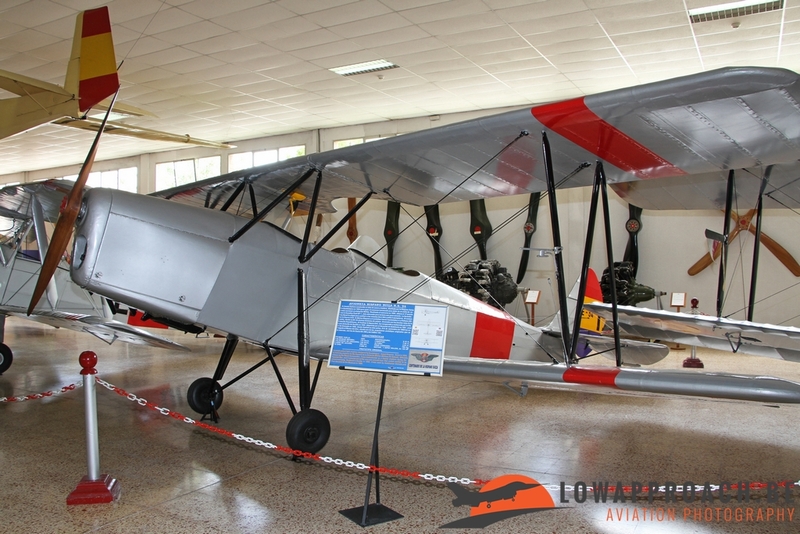 The C4 was later developed in more improved versions like the C6bis, the C19 and the C30MZA. 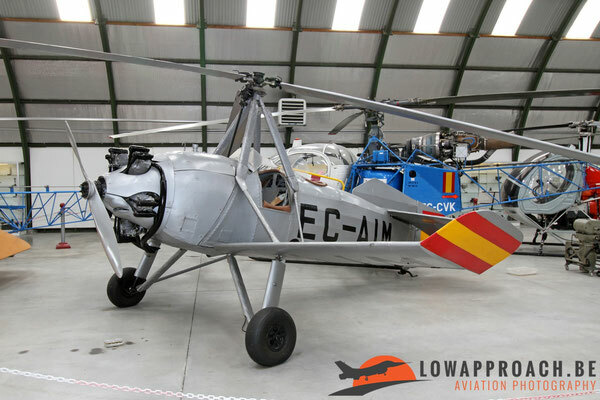 In the 1950’s Jean Cantinieau, a French engineer, also designed and build a small number of helicopters in Spain. 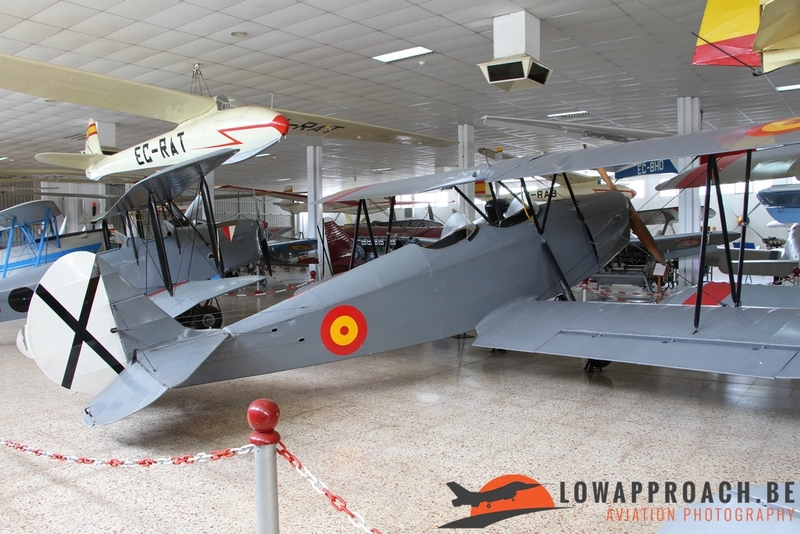 The Aerotécnica AC12 and AC12 were build in modest quantities and used by the Spanish Air Force. 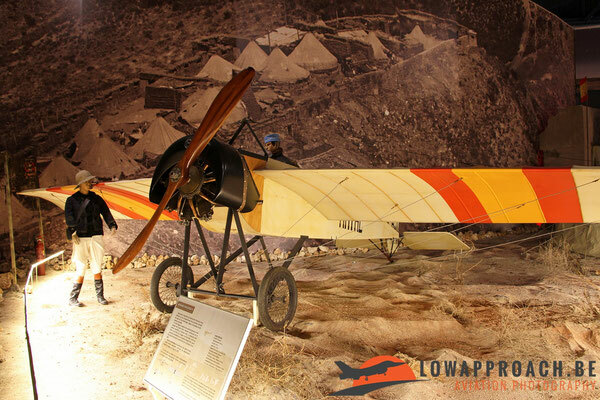 These indigenous designs were quickly replaced by types coming from outside Spain. 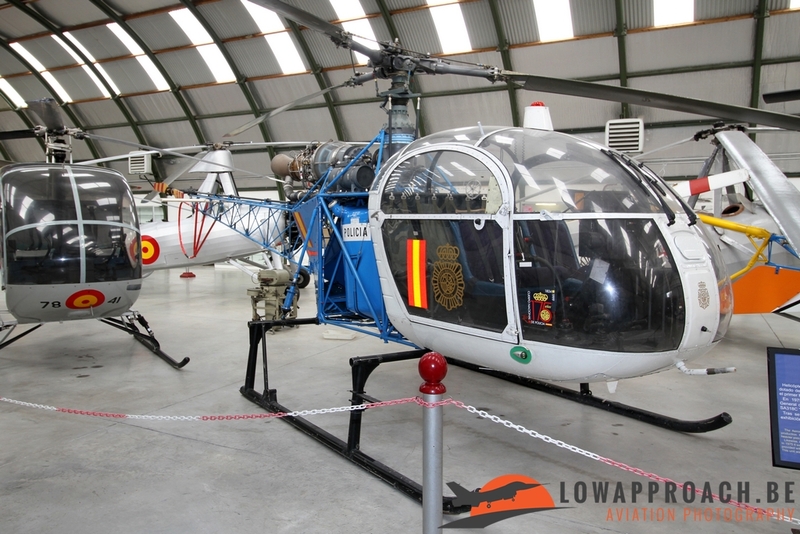 From France both the Alouette II and Alouette III were acquired. 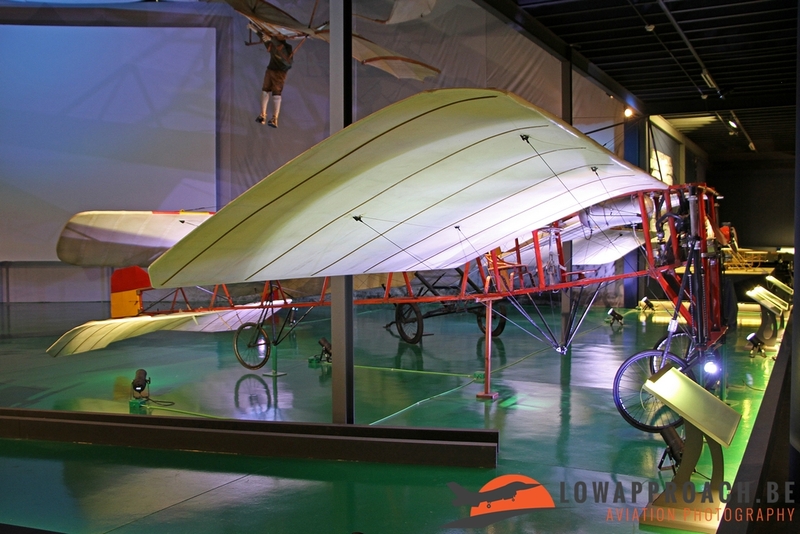 From both types two examples are on display in the museum. 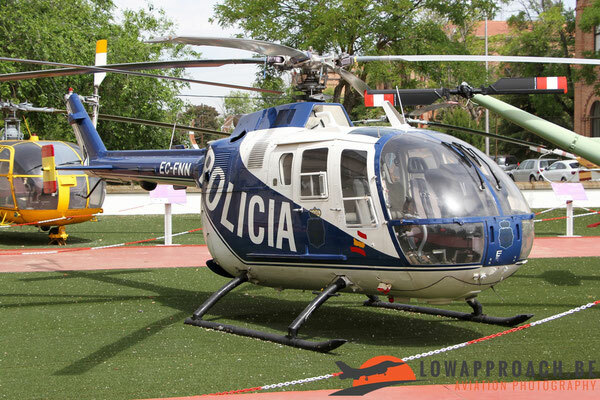 Of the Alouette II we see a Police version and an aircraft used by the Spanish Ministry of the Interior. 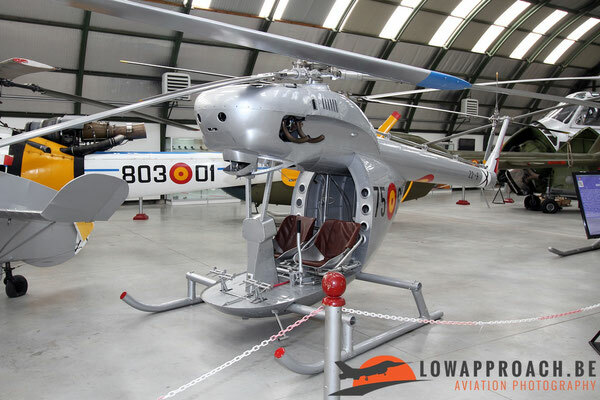 This Ministry also used the Alouette III, a second Alouette III was once on the strength of the Ejercito del Aire. 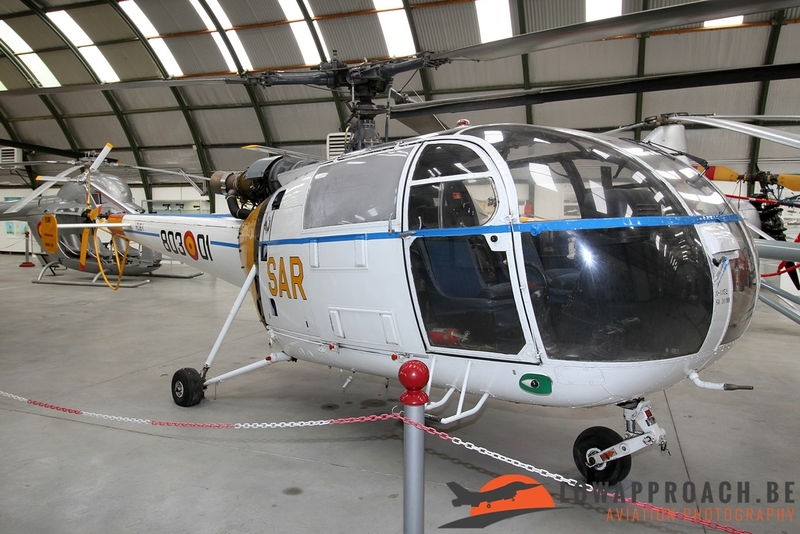 A larger type was bought in the United Kingdom in the shape of a Westland Whirlwind Series 2,and was used by the air force in the 'search and rescue' role. 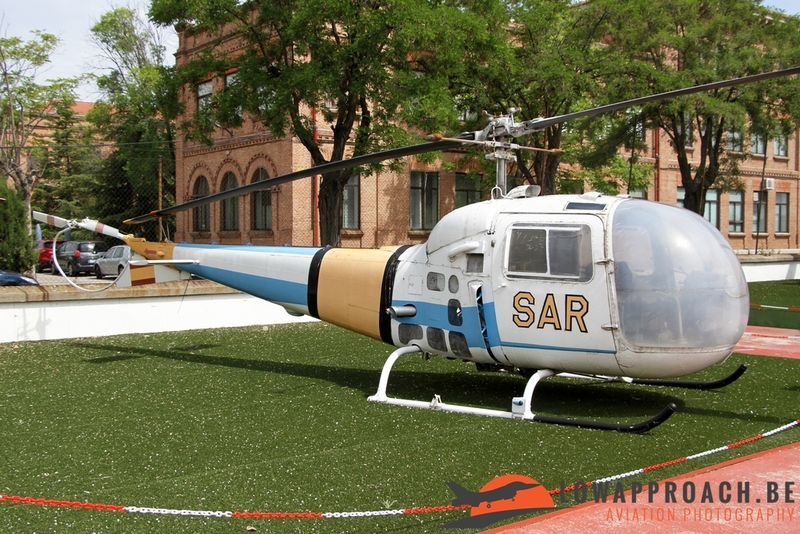 Largest supplier of helicopters was the United States where the Bell Model 47 proved to be a very popular model in Spain. 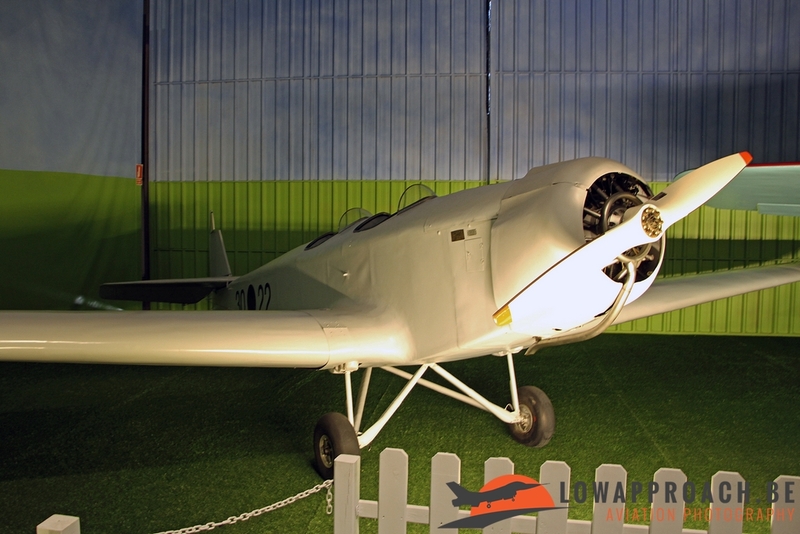 In the museum no less than four different variants of the Model 47 can be found. 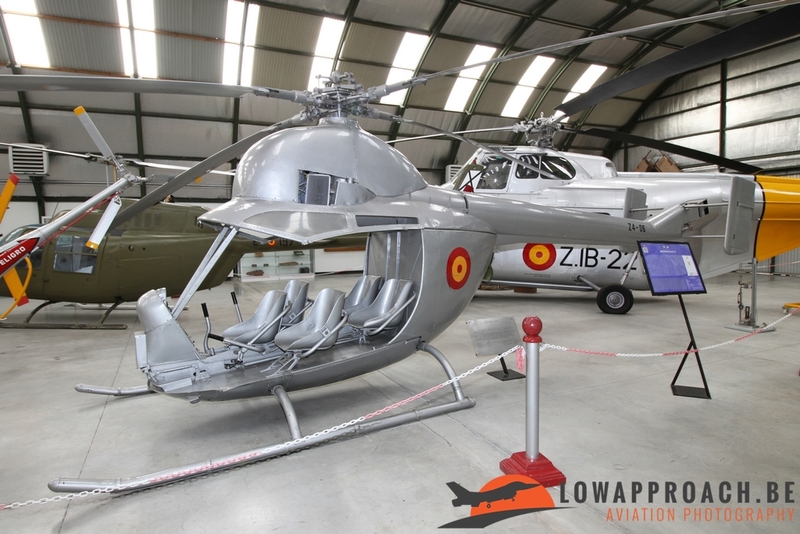 The AB47J-3B-1, AB47G-2 and AB47G-3 are license-build Agusta types and the Bell OH13H was bought directly in the US. 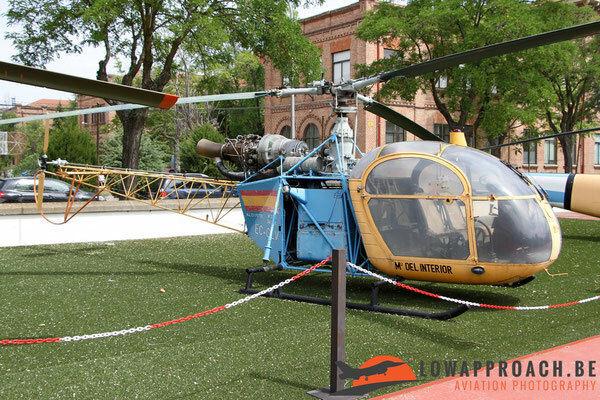 Another US designed helicopter type is the Hughes 269C. 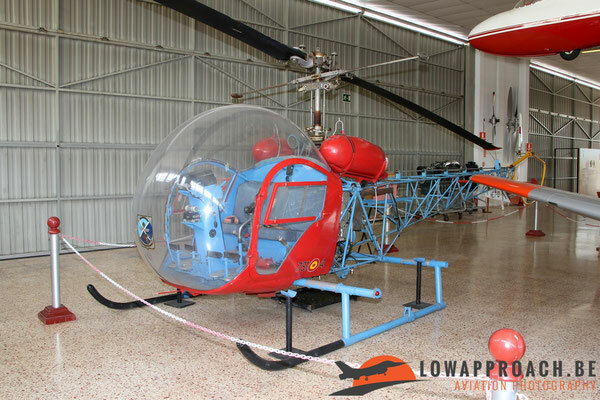 This type was mainly used for the training of new helicopter pilots. 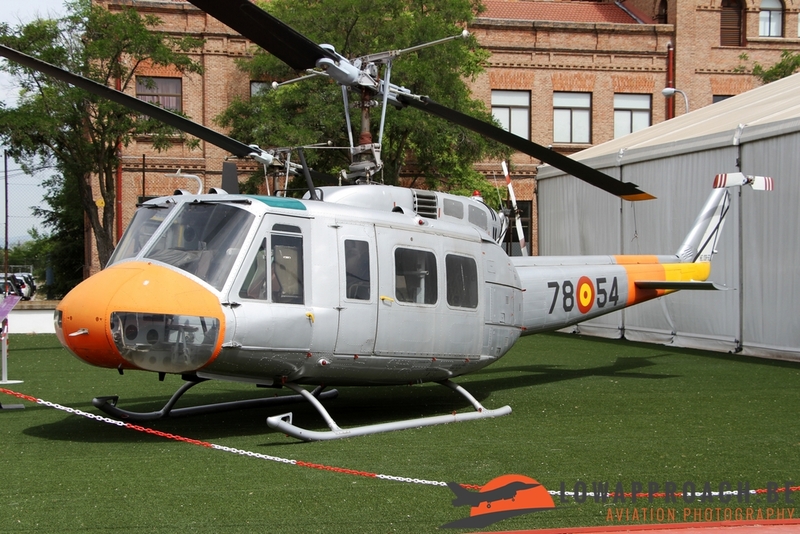 Bell remained very popular in Spain and also the Agusta-Bell AB206A-1 Jet Ranger was taken into to service, in a 'search and rescue' role. 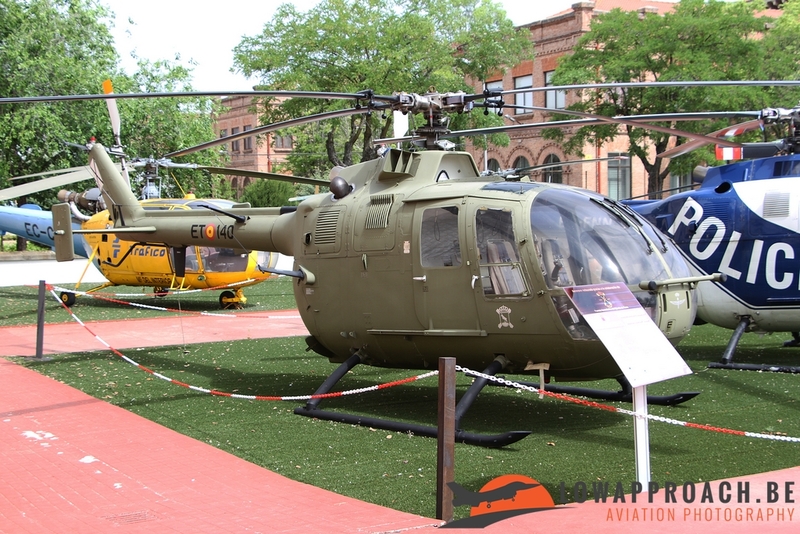 Finally they have a couple Bell UH-1H Iroquois, some of which are still in service today. In the 1970’s also a substantial number of Messerschmitt-Bolkow-Blöhm Bo105’s were acquired in Germany, these saw service with FAMET, Fuerzas Aeromóviles del Ejército de Tierra, and the Police. 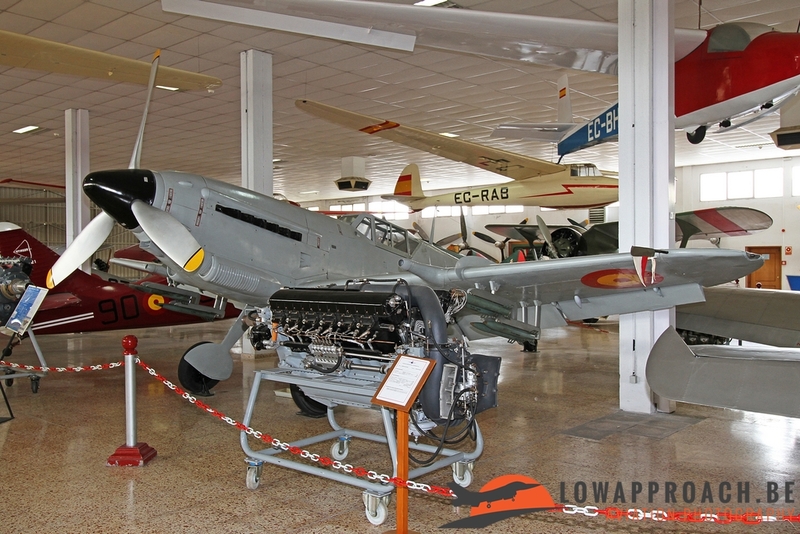 Like many countries Spain entered the jet era just after the Second World War. 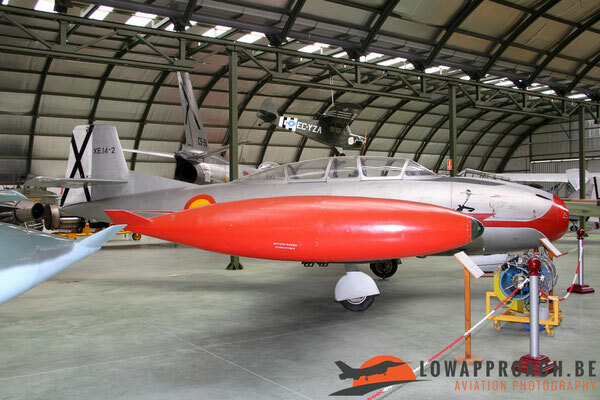 The first Spanish jet was the Hispano HA200 Saeta, designed by the German designer Willy Messerschmitt, and made its first flight in 1955. 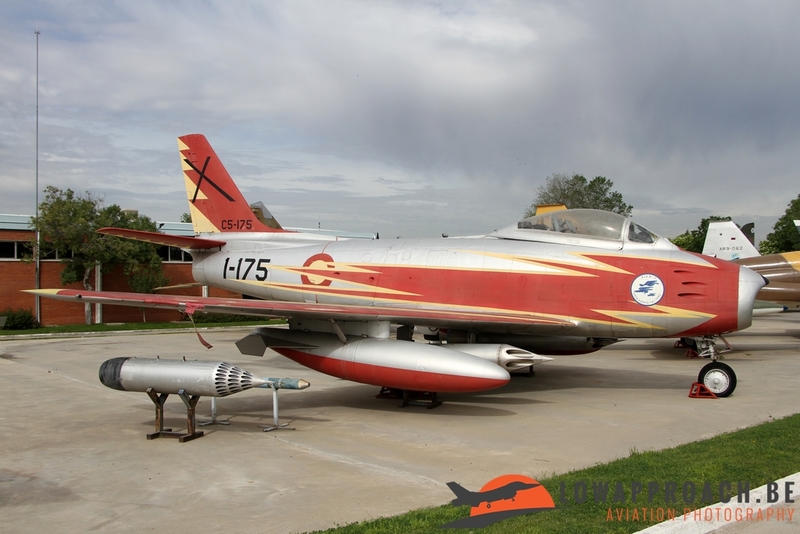 It entered service as a two-seat jet trainer in 1962. 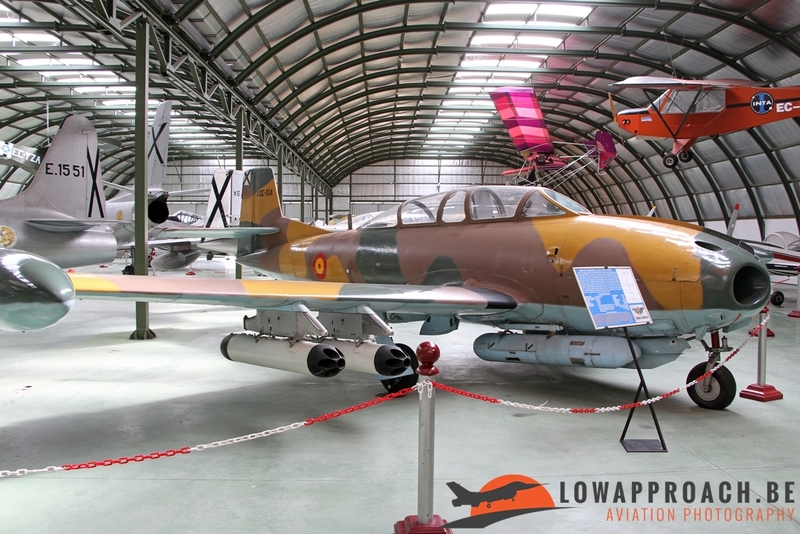 A single-seat version, the HA220 Super Saeta, was developed for the ground attack role. Curiously the single-seat version retained the large bubble canopy of the trainer version. In 1970 the HA220 entered service, replacing the CASA 2.111, a Spanish development of the Heinkel He111. 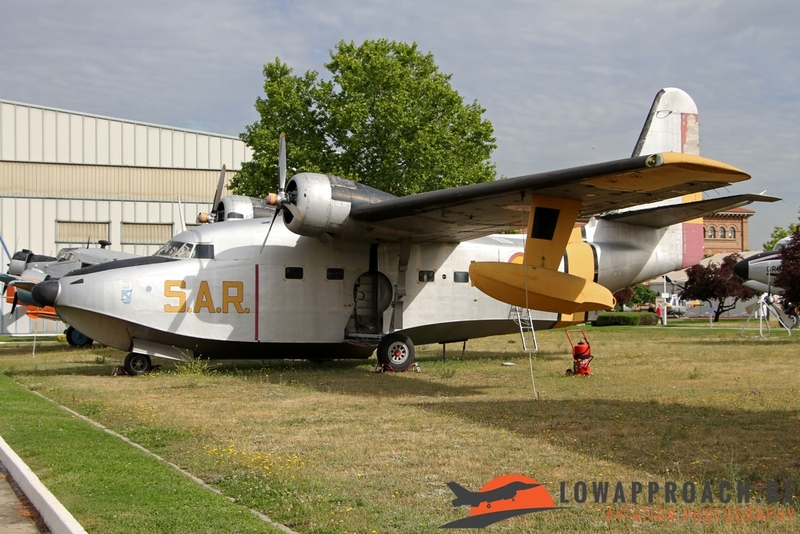 The Saeta and Super Saeta only saw service in Spain and in Egypt, where it was built as the Heiwan HA200B Al-Kahira. 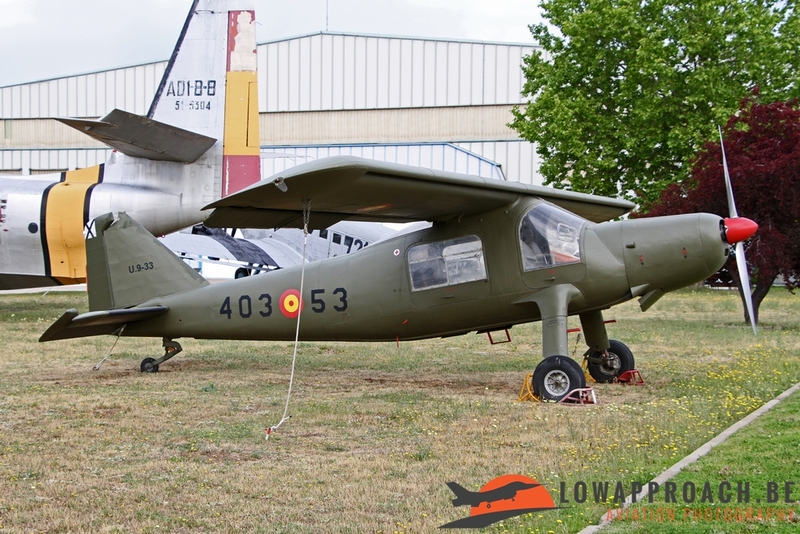 A better known Spanish design is the CASA C101 Aviojet. 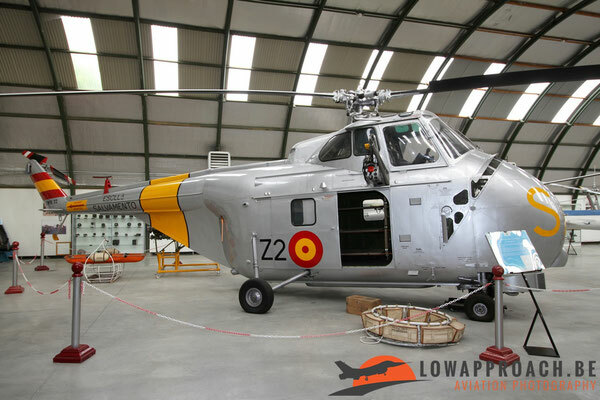 It was designed to replace the ageing HA200/HA220 and entered service in 1980. It is best known as the aircraft used by the 'Patrulla Aguila', the aerobatic team of the Spanish Air Force. 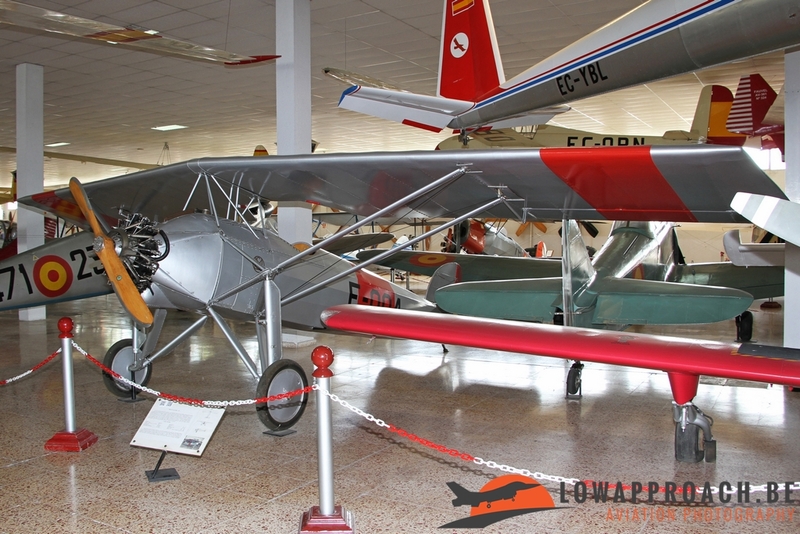 The example in the museum is the first prototype of the Aviojet. The Spanish aviation industry could not meet all the needs for jet aircraft from the Spanish Air Force, so quickly other types were acquired. 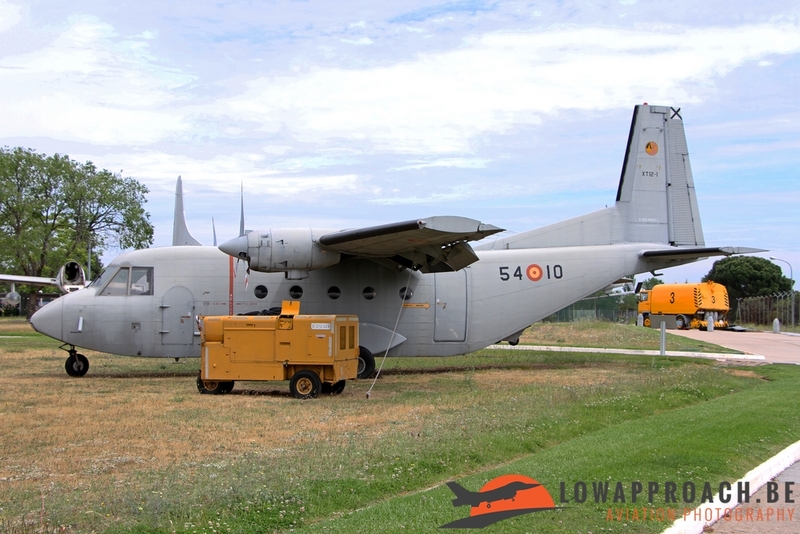 As with many other countries the United States was a major partner in this effort. 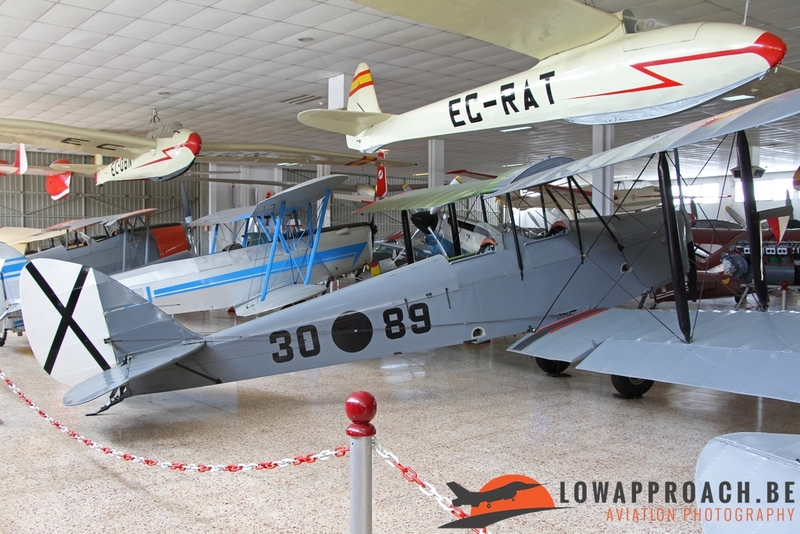 Unfortunately not all types once used by the Spanish Air Force are preserved in the museum, but nevertheless they have a nice collection of jet aircraft. 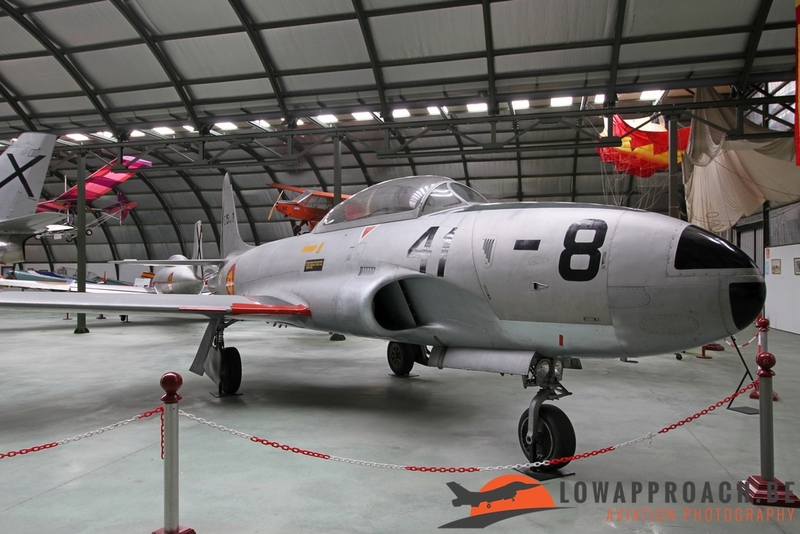 The oldest type present is the Lockheed T33A T-Bird that was used as a jet trainer and light attack aircraft. Then we saw a couple of North American F-86F Sabres, one in operational colors and one wearing the livery of the 'Patrulla Ascua'. 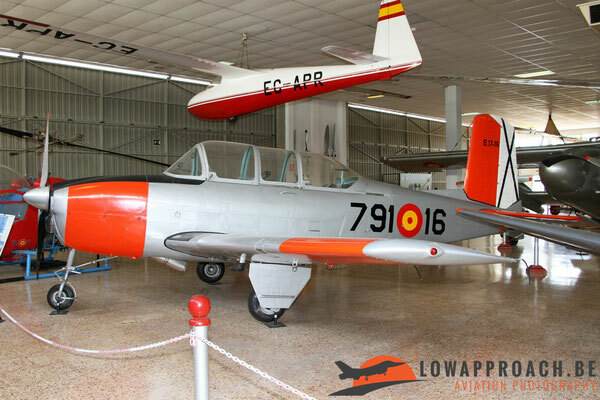 This aerobatic team was formed in 1956. 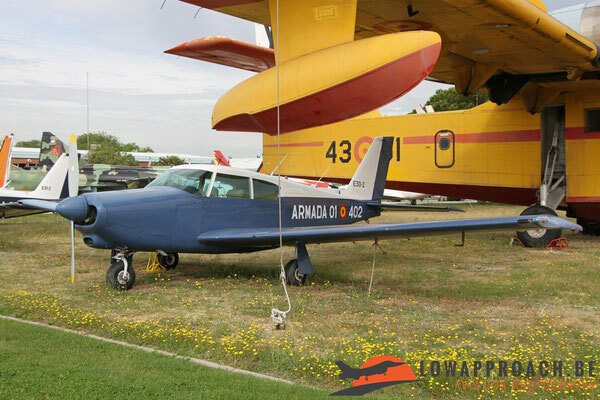 It remained active until 1958, when three years of inactivity started after one of the aircraft was involved in a crash. 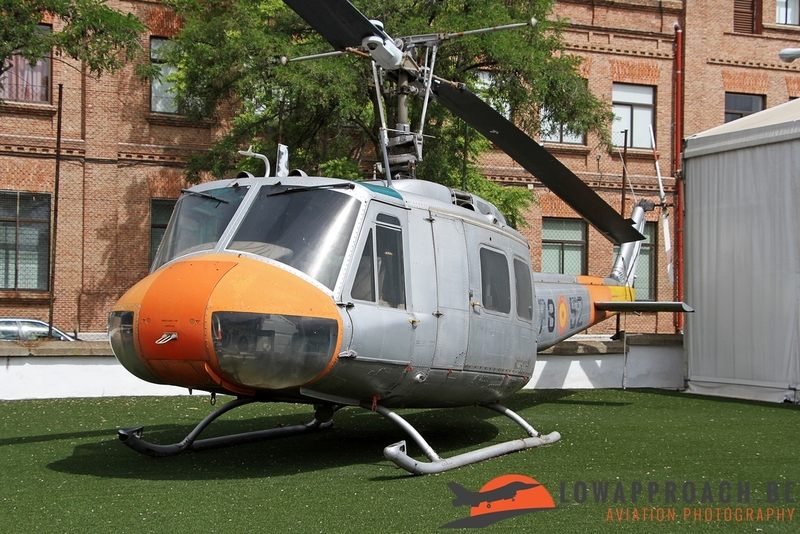 In 1961 it was formed again until its final demise in 1965. 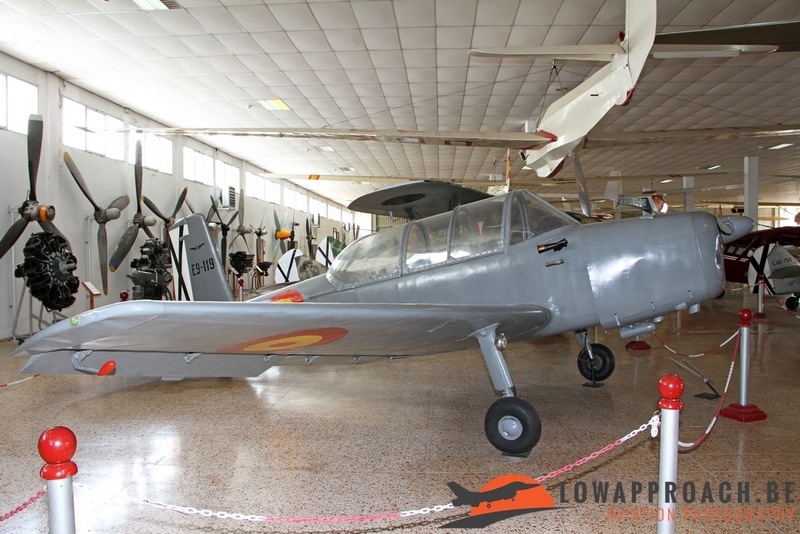 The Sabre was the only aircraft ever used by the team. 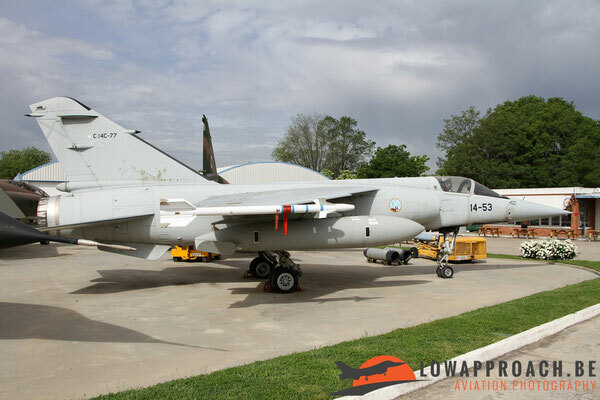 Between October 1971 and September 1972 the United States supplied a first batch of 24 second-hand McDonnell Douglas F-4C Phantom II’s to the Ejercito del Aire as a replacement for the F86 and F104. 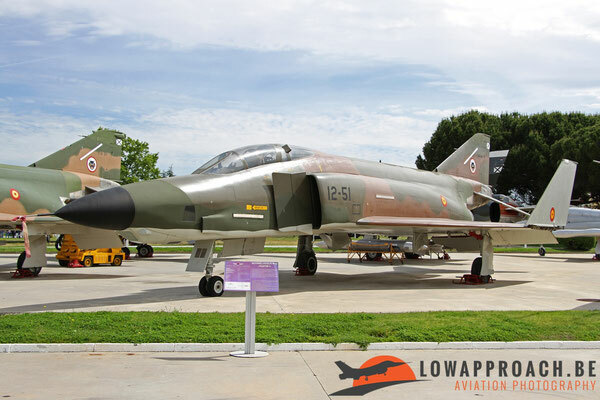 More F-4C followed in 1979, when also the first RF-4C reconnaissance aircraft were supplied. 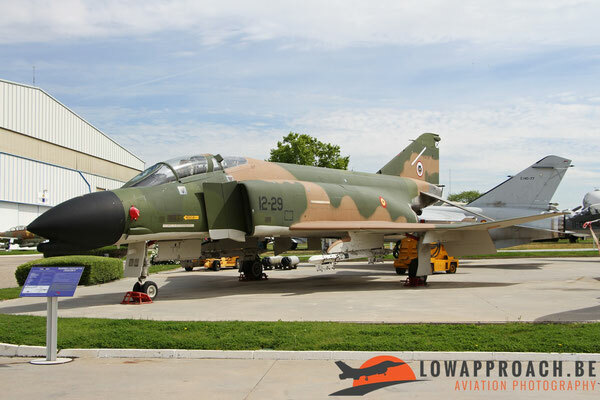 The F-4C remained in service until 1989 when the McDonnell Douglas EF-18A Hornet entered in service, however the RF-4C remained in service with even more aircraft entering the fleet in 1989. 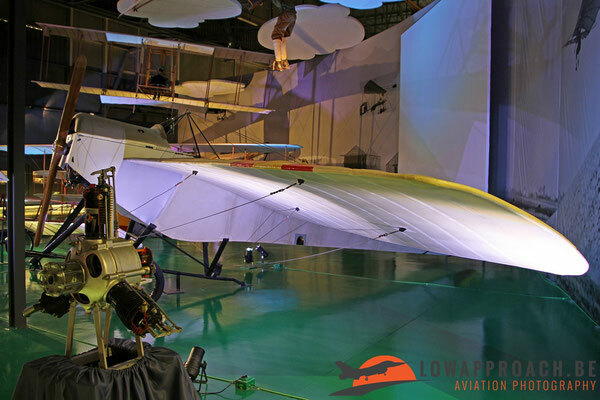 In 1995 the oldest RF-4C’s were retired and 'newer' aircraft from the US were bought. In 2002 the days of the Phantom were finally over when the last RF-4C’s were retired. Recently good news came from the museum, as they will soon get a F-104 Starfighter in the collection. 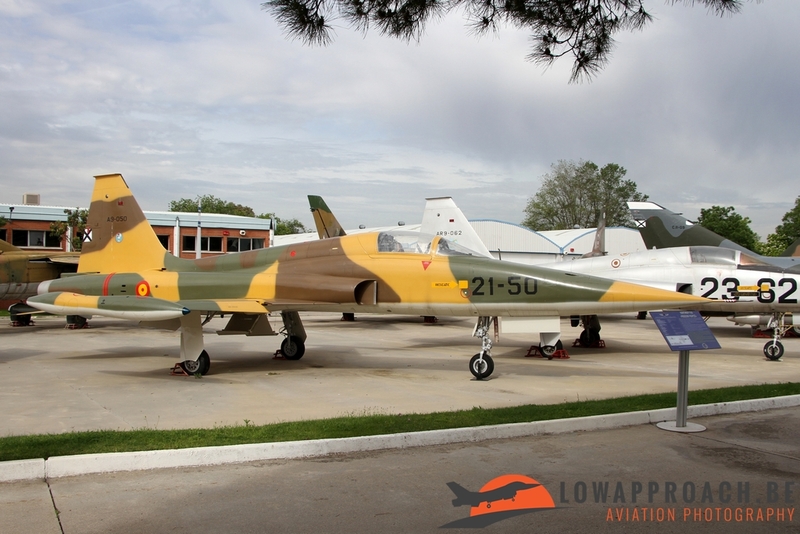 The F-104 only had a relatively short career in Spain and the US-funded aircraft were transferred to other countries. One of these aircraft has recently been transported back to Spain from Greece and will, after a complete restoration, join the museum collection. 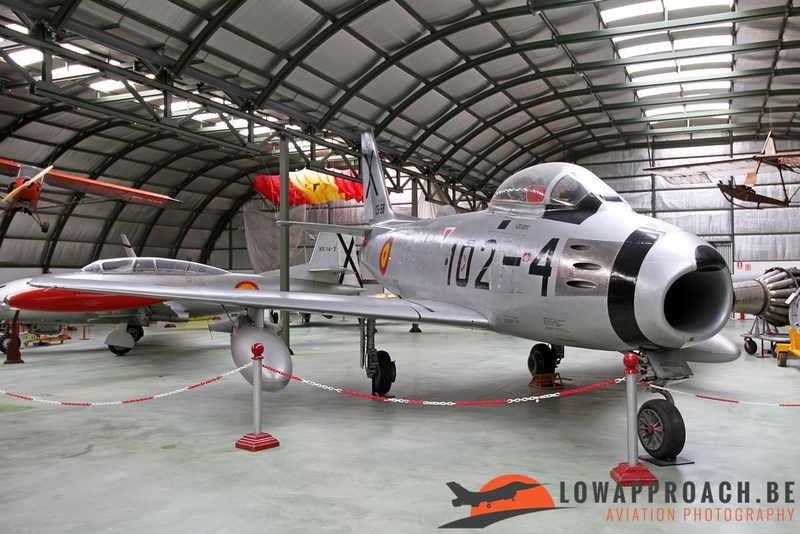 Another country that was an important supplier of jet aircraft to the Spanish Air Force was neighboring France. 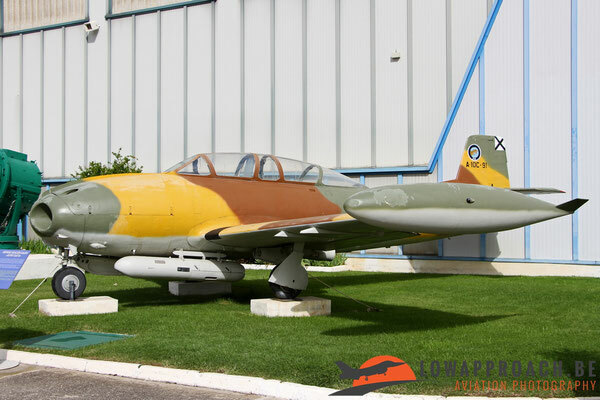 In the 1960’s a small number of the Dassault Mirage III’s was supplied in several types. 24 single-seat Mirage IIIEE’s and 6 two-seat Mirage IIIDE trainers. 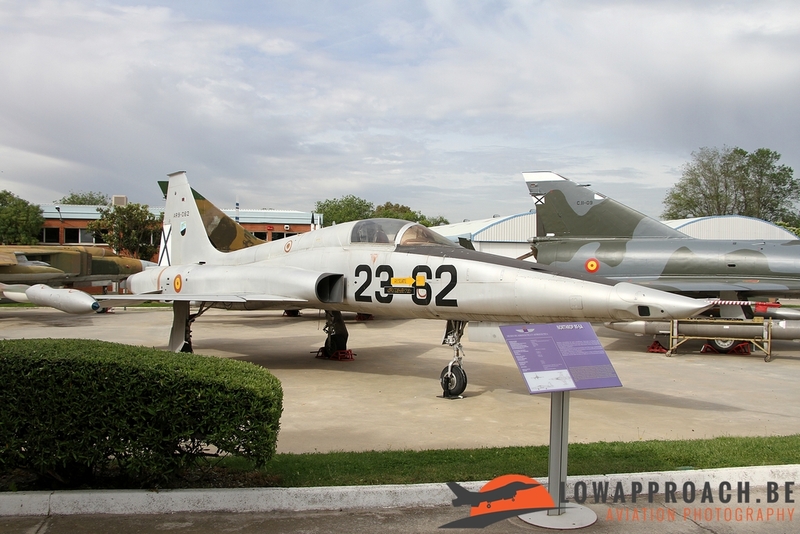 These were essentially Spanish versions of the Mirage IIIE, the multirole/strike variant of the Mirage III. Although there were plans in 1991 to upgrade these aircraft and thus extend their useful life, this project was cancelled and the Mirage III was withdrawn from use in October 1992. The survivors were used to pay for the upgrade of the Mirage F1 to F1M standard, and were sold by Dassault to Pakistan, but also a handful were kept for preservation like this Mirage IIIEE in Cuatro Vientos. 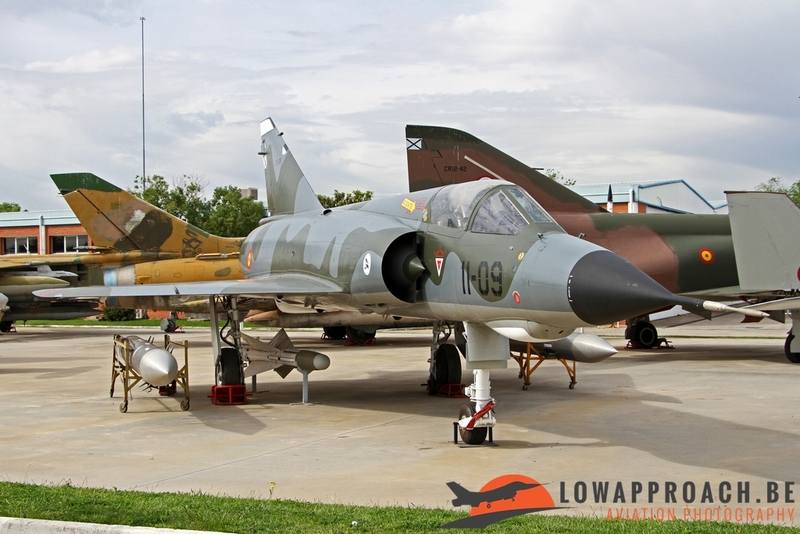 In the mid 1970’s, after some tensions with Morocco, the Mirage F1 was bought from Dassault. They were mainly used as primary role for air interception, in a secondary role it was used as an air interdiction. 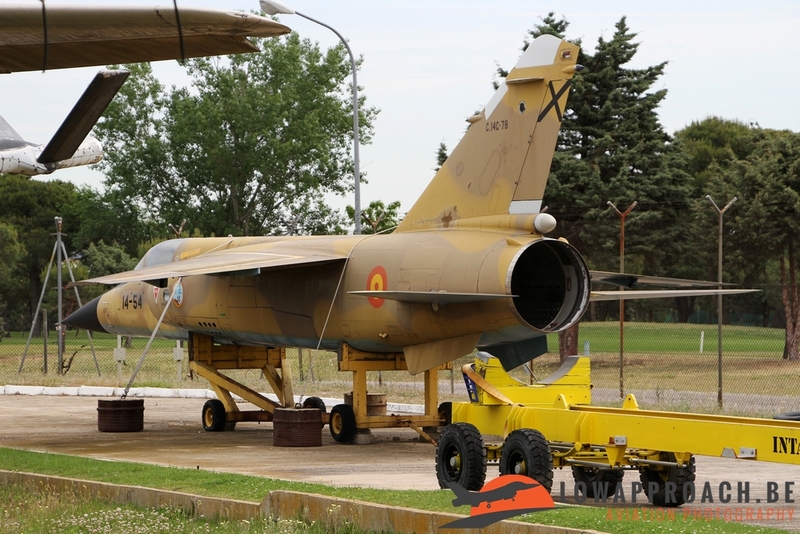 The Original Mirage F1-fleet was later increased by the acquisition of 24 second-hand examples from France and Qatar in 1990. 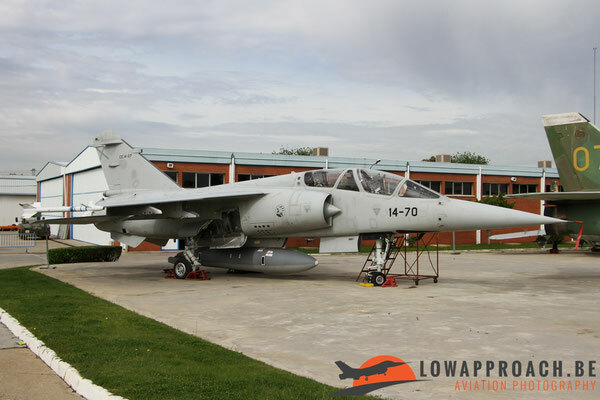 In 2013 the aircraft was finally taken out of service after being replaced by the McDonnell Douglas EF-18 Hornet and Eurofighter Typhoon. In September 2017 it was announced that US company 'Draken International' had bought 20 surplus Mirage F-1M’s with the intention to make them airworthy again for use as an agressor training aircraft. 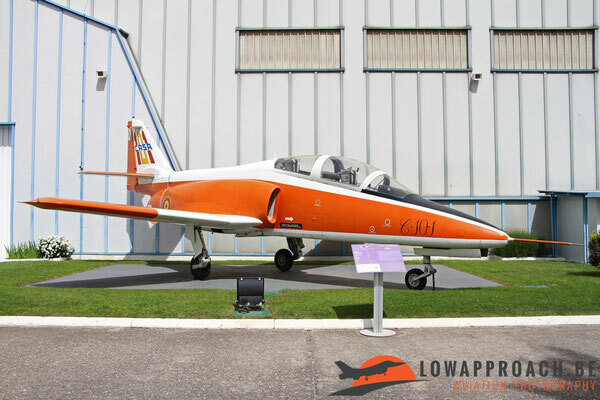 The museum currently has three F-1’s on display, two Mirage F-1EDA single-seaters and one F-1BM two-seater, which are in perfect condition. Over the years the Spanish Air Force made use of several types of training aircraft. 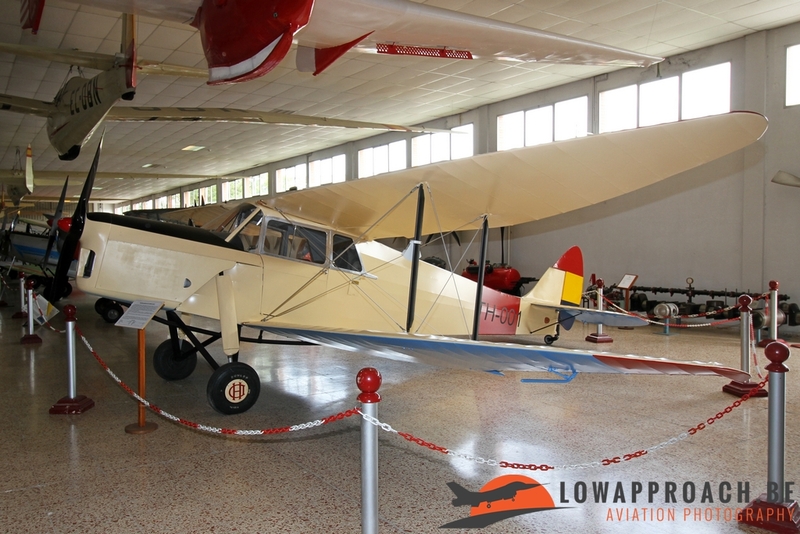 The oldest trainers on display are the CASA 1-133 (a license build Bücker Bü133 Jungmeister) and a CASA 1.131 (a license build Bücker Bü131 Jungmann). 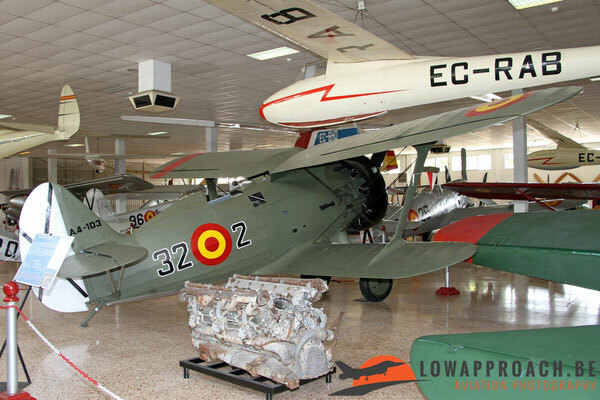 Both types were build after the ending of the Spanish Civil War and remained in service for many years. From the same period is the INTA (also known as Huarte-Mendicoa) HM1B primary trainer. 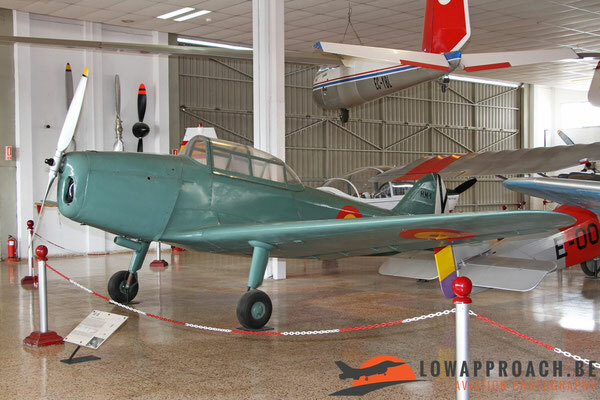 This Spanish design made its first flight in 1943 and was later used exclusively by the Spanish Air Force. Another local type is the Aeronautica Industrial (AISA) I115. Again a primary trainer that made its first flight in 1956 and was used by the Spanish Air Force until 1976. Although used by many countries as an advanced trainer, the North American SNJ5/6 Texan was used in the light attack role by the Spanish Air Force. 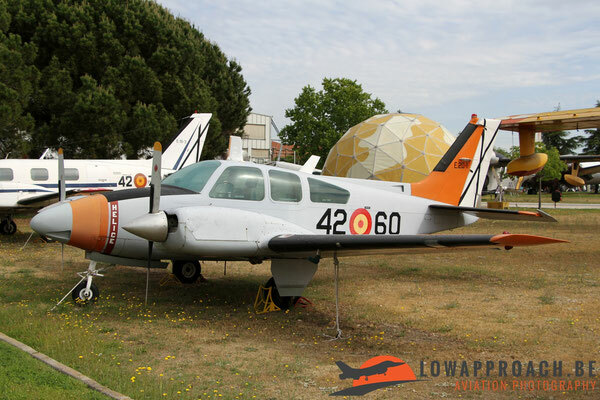 For advanced training they used the Beech T-34A Mentor. 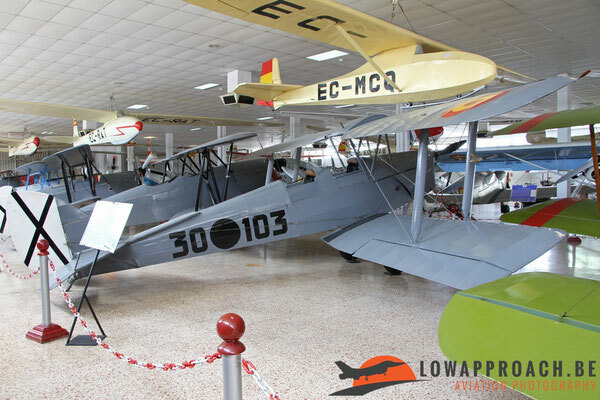 Two Texans and Mentor are on display in the museum. 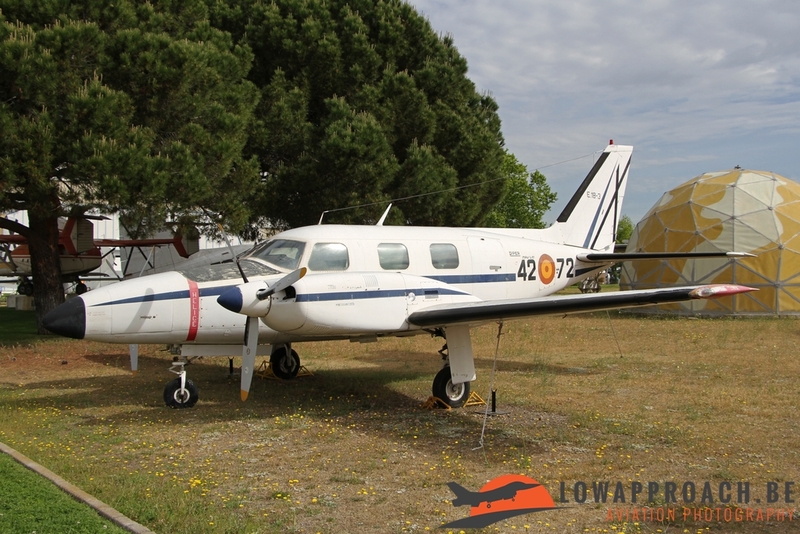 Over the years several Piper models were used for flight training of future multi-engine aircraft pilots. The Spanish Air Force used the Piper PA23-250E Aztec and the Piper PA31P Navajo. Also the Beech Be95-B55 TravelAir was used for this purpose. 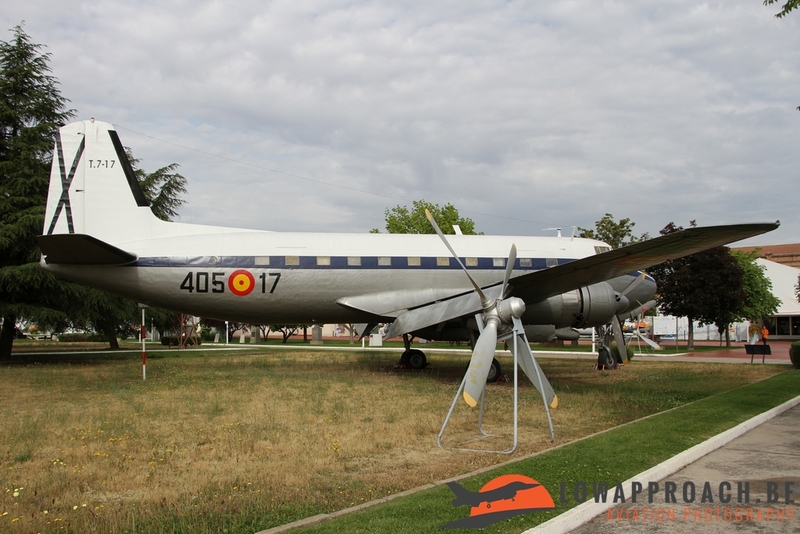 Although the museum at Cuatro Vientos is mainly dedicated to aircraft used by Spanish Air Force, also types from the 'Armada', the Spanish Navy, can be found here. 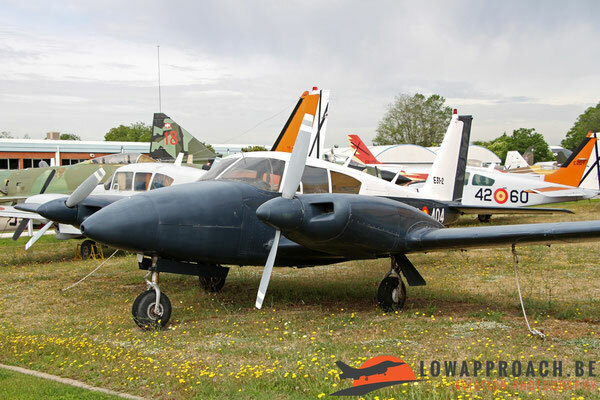 Also with the 'Armada' Piper aircraft were quite popular, they used the Piper PA24-260 Comanche as a basic trainer and the Piper PA30-160 Twin Comanche for the multi-engine flight training. Due to the size of the country transport aircraft Always have a major role in the Spanish Air Force. After the civil war CASA obtained the license rights from Germany to build the Junkers Ju52 as the CASA 352. 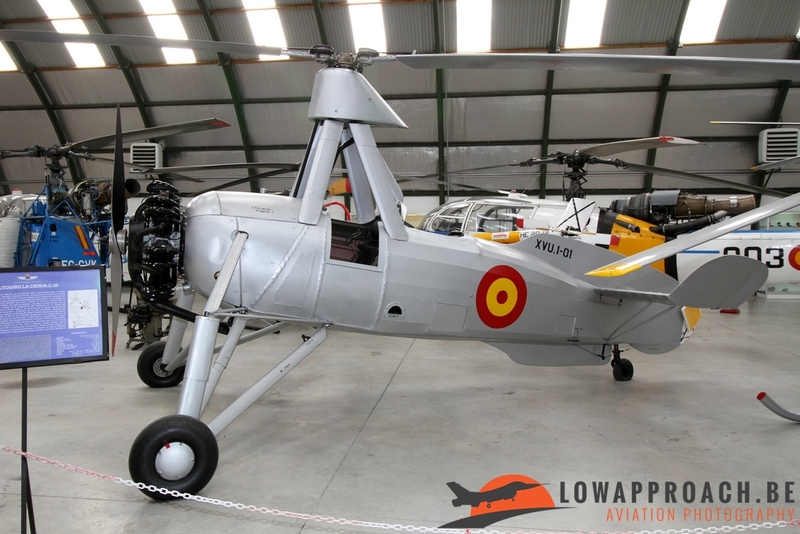 In total 160 were build in two versions the 352 and the 352L, where the L was equipped with Spanish build engines. 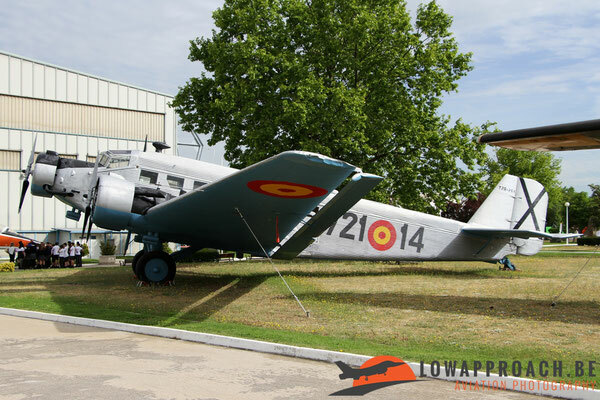 Most of the Junkers Ju52’s that currently survive are in fact Spanish build examples, as the original German aircraft were virtually all destroyed after the end of World War II. Other transport aircraft from this period are a Stinson 108-3 Voyager and a De Havilland DH89A Dragon Rapide who were used in the light transport and utility role. They were replaced in later years by the Dornier Do27B, and its license version the CASA 127. 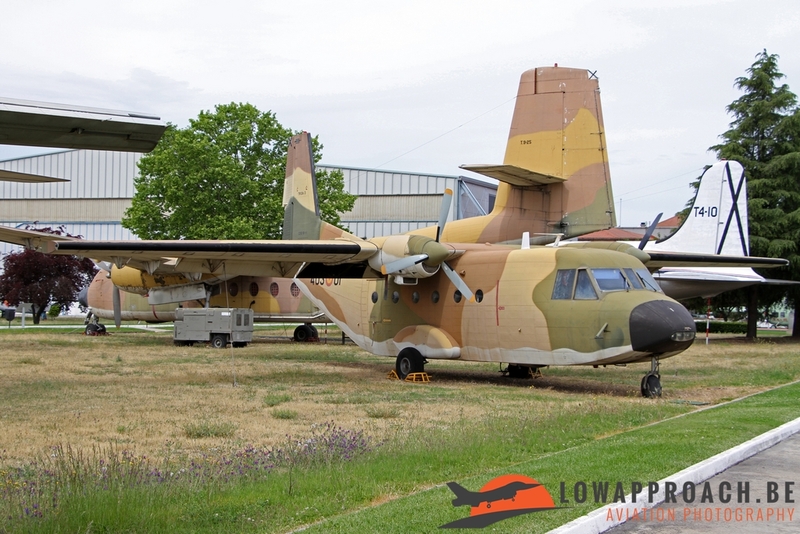 Also a smaller number of Dornier Do28A Skyservant were used for utility flights. 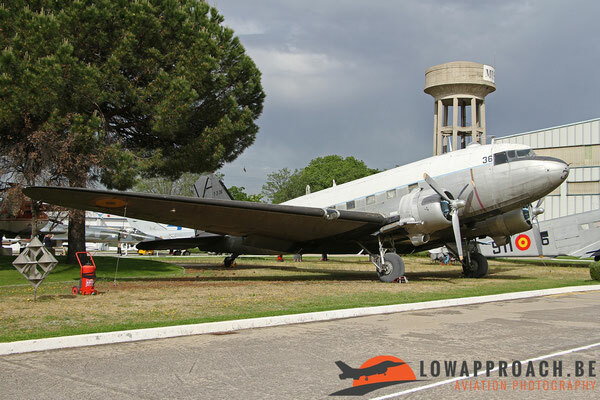 Transport aircraft that were acquired from the United States after the Second World War were the Douglas C-47B Dakota and the Douglas C-54A Skymaster. 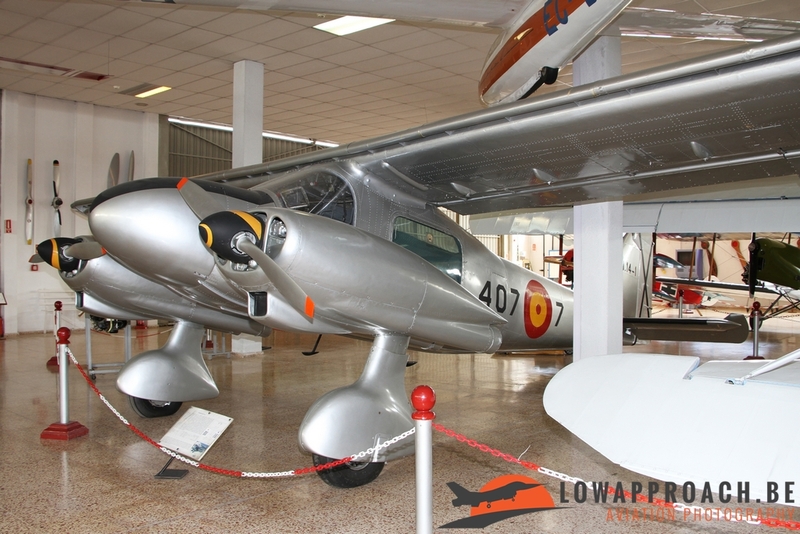 Like with several other aircraft categories CASA also designed its own transport, the CASA C207 Azor. This type made its first flight in 1955 and the first entered service with the air force in 1960. 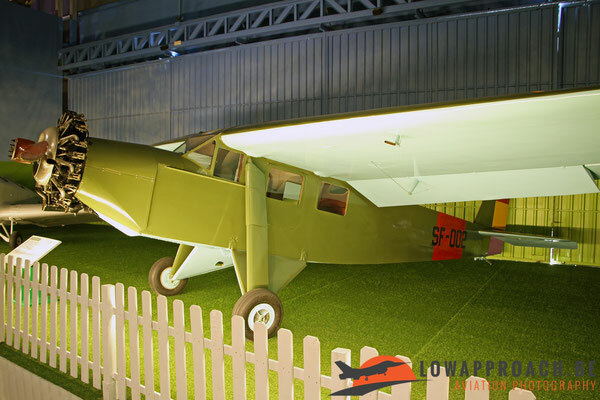 The museum has two examples on display, a C207A which is in fact one of the two prototypes that was later used by the air force. The second one, a C207C, is the cargo version fitted with large cargo doors in the rear fuselage. There was a third version, the C207B, which was only used for passenger transport. In total 22 were build, 2 prototypes, 10 C207Bs and 10 C207Cs. 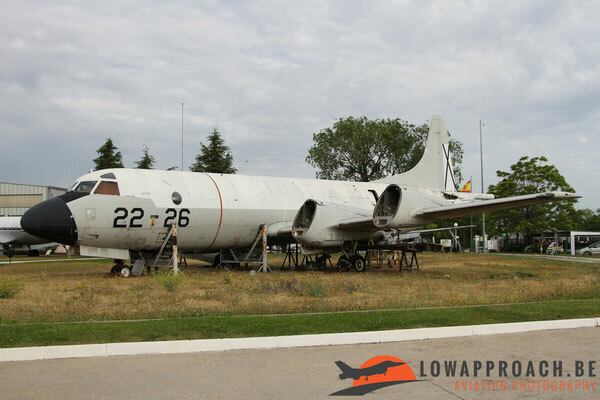 The last aircraft were retired in the 1980’s. A rather rare type (in Europe at least) used by the Spanish Air Force is the De Havilland of Canada DHC4 Caribou, 12 were bought new from the manufacturer and later 24 second-hand examples were supplied by the United States Air Force. 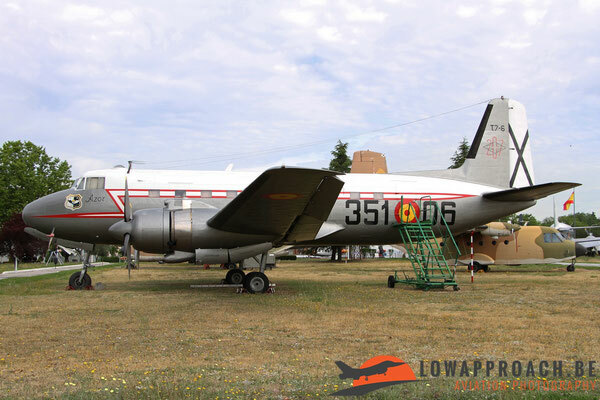 The final Caribou was retired in 1991. Final transport aircraft on display in the museum is again a Spanish design. 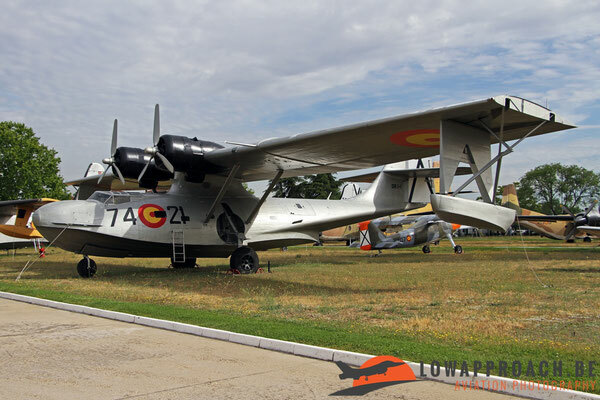 The CASA C212 Aviocar is a medium cargo aircraft that made its first flight in 1971 and entered service in 1974. 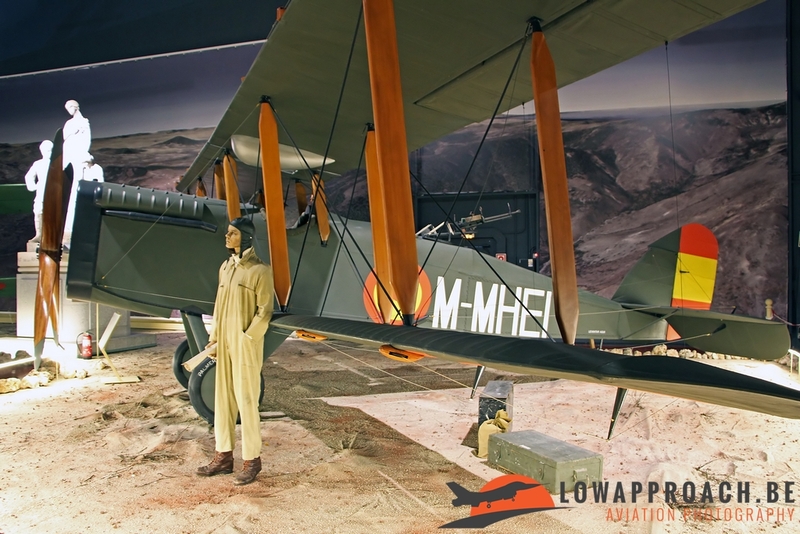 The museum has two examples on display, including one of the prototypes. The second one is a pre-production aircraft that was converted for the photo reconnaissance role within the Spanish Air Force. 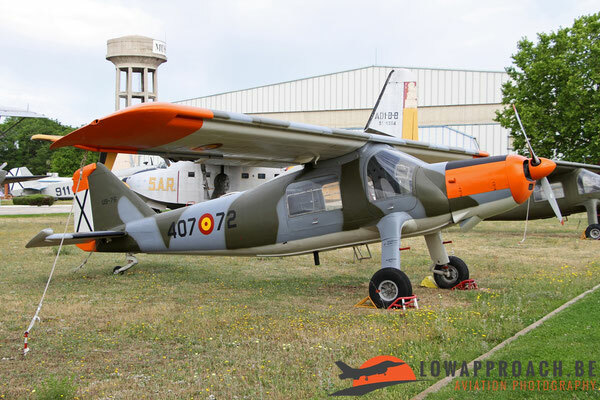 The Aviocar is still in service with the Spanish Air Force. 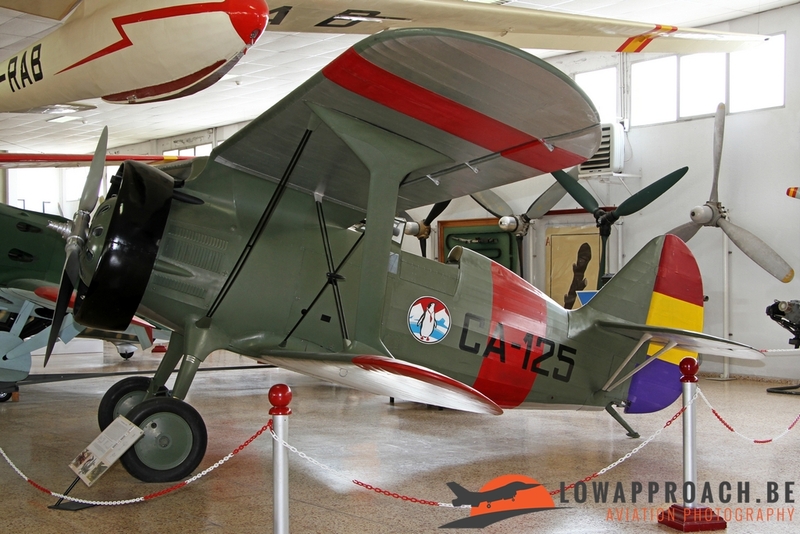 Finally we want to highlight a few aircraft that are a bit more difficult to classify. 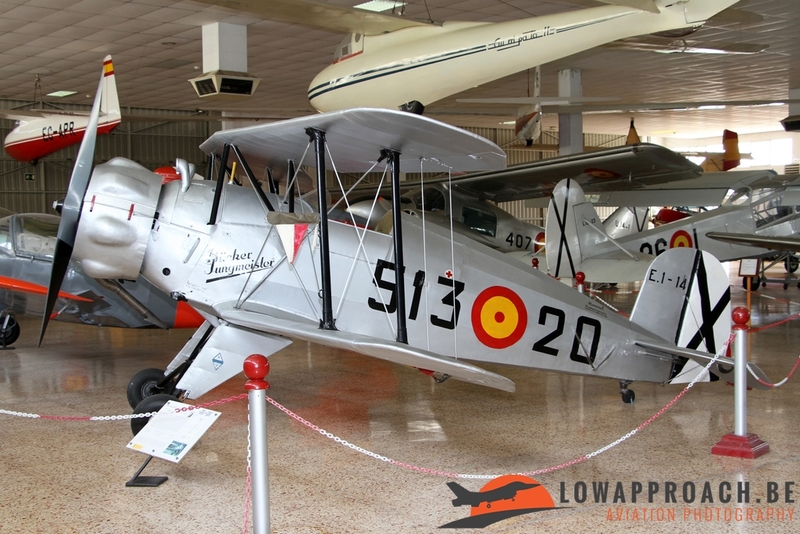 Spain always had a strong link with the seas and oceans that surrounded it and to patrol these they had a number of specific aircraft in service. 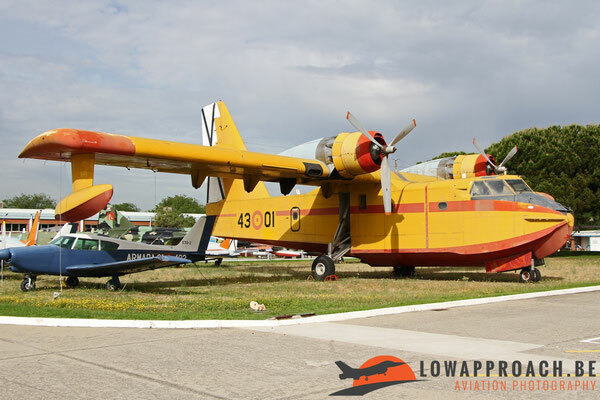 The Grumman HU-16B Albatross and Consolidated PBY-5A Catalina seaplanes were used as maritime patrol aircraft, the museum Dornier Do24 was unfortunately not on display during our visit. In later years the maritime patrol role was taken over by the Lockheed P-3A Orion. The engineless aircraft we saw in May was recently replaced by a complete example, so the current status of the aircraft on the picture is currently unknown. Another 'unique' aircraft at Cuatro Vientos is a North American TB-25N Mitchell medium bomber. 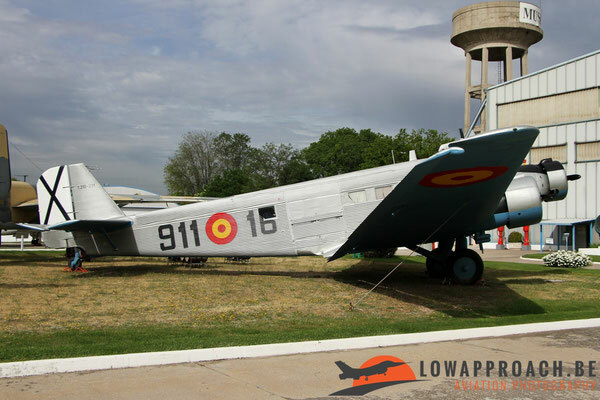 It was a United States Army Air Force example that made a precautionary landing in 1944 and that was interned, as Spain was in theory a neutral country. 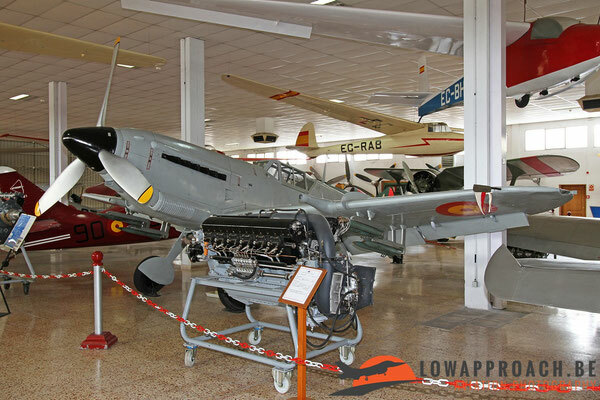 In 1948 it was put into use by the Spanish Air Force until 1956. The last rather unique aircraft in Europe is the Boeing KC-97L Stratofreighter. 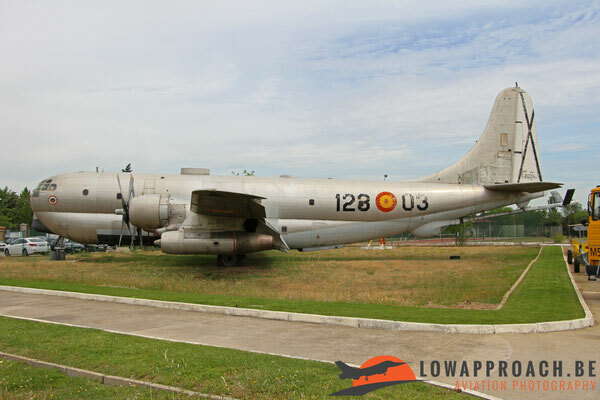 The KC-97L is the tanker version of the C-97 transport aircraft developed from the B-29 Superfortress. Only two countries outside the United States used this variant, Israel and Spain. 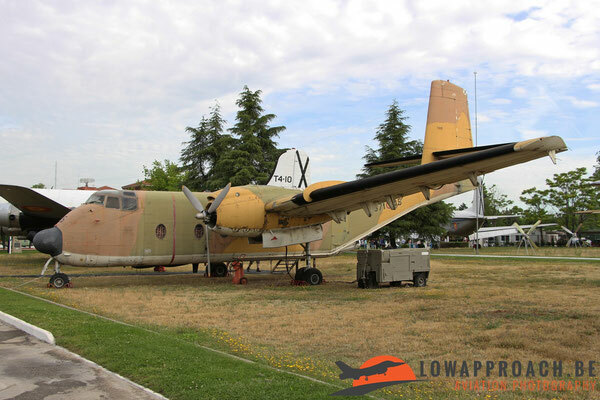 Spain received three former US Air Force aircraft which remained in service until retired in the 1980’s. The example in the museum is the only survivor. 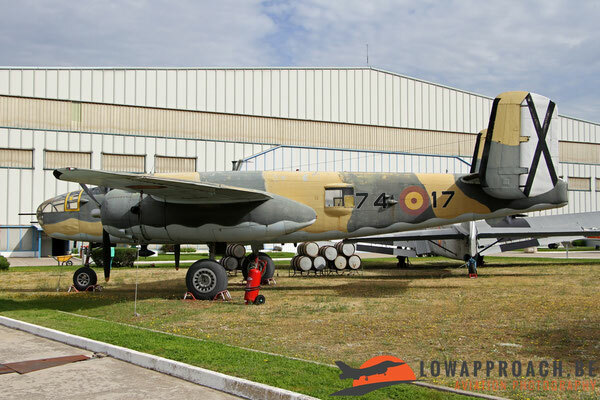 on our continent. 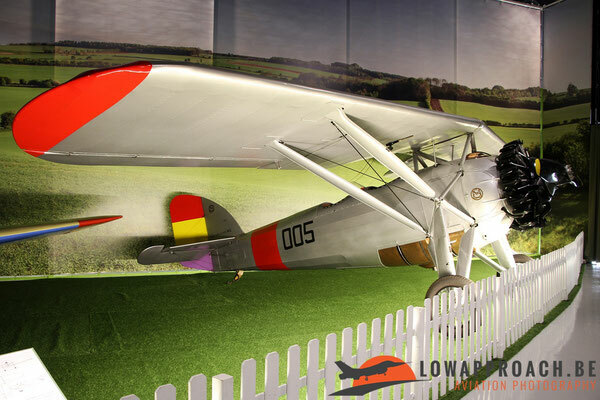 Visiting the museum is not a problem, it's open to the main public and only a small entry fee is asked. 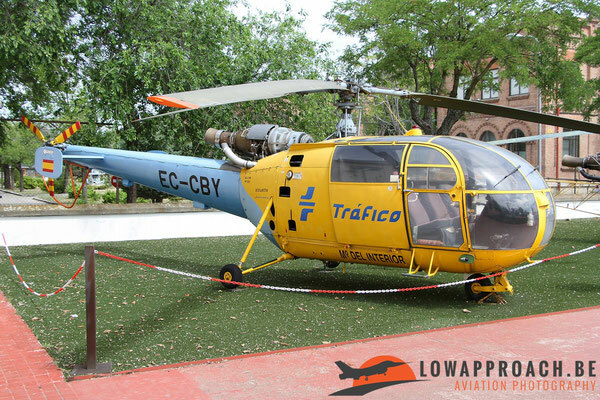 Only drawback are the limited opening hours. 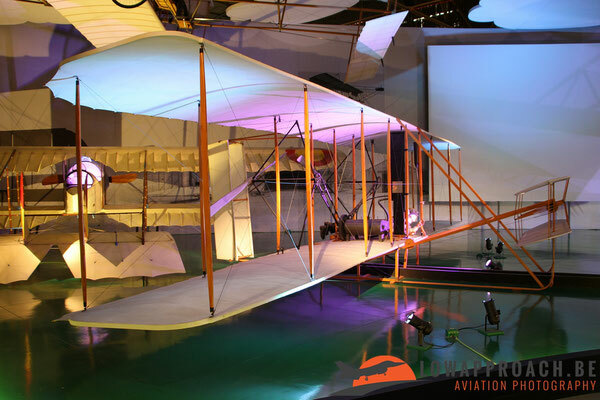 When we visited it opened at 10 am until 2 pm, so we only had 4 hours to visit, which is very tight if you want to cover it all in detail. 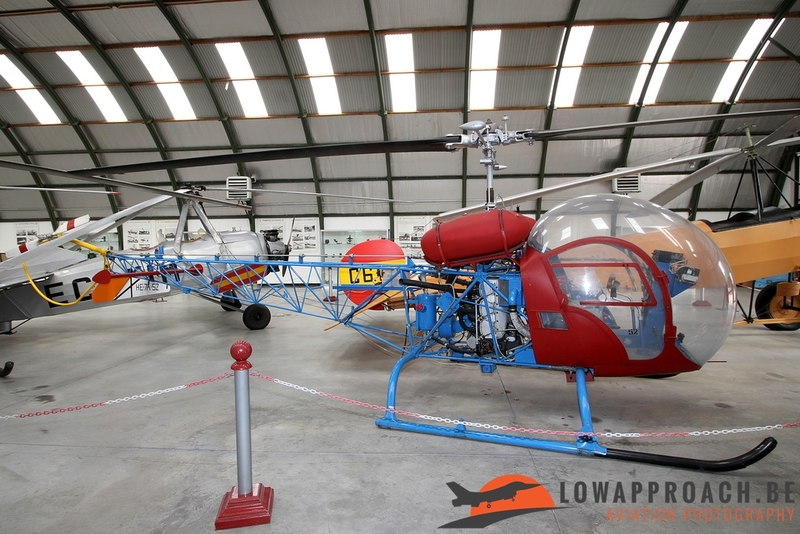 As it appears there was a slight change in the opening hours recently. Now it opens from 9 am until 1 pm (so again only 4 hours), but there is now a second opening session between 6 pm and 9 pm in the late afternoon. 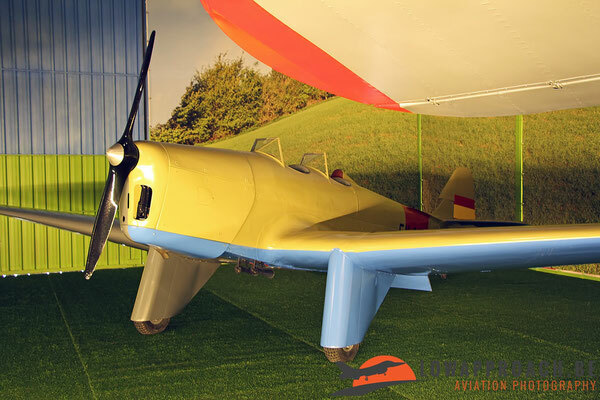 We can only advise to check the exact opening hours carefully before you plan a visit to avoid surprises. Photography is not a problem, but the use of a tri- or monopod is not allowed. This creates quite a problem when making photographs in Hangar One, which is very dark to create a nice effect. The complete collection is much larger than what we showed here in the article, also quite a number of civil aircraft and a large number of gliders are present in the collection. 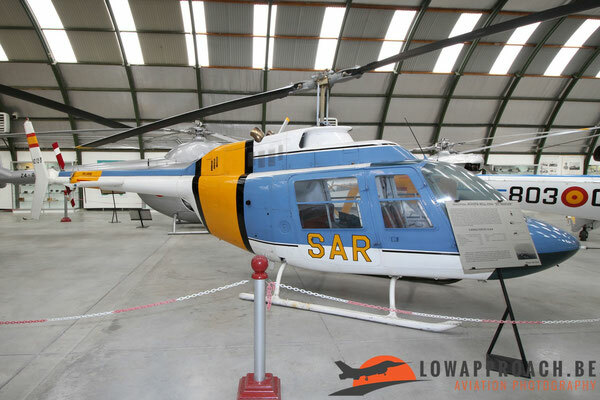 So in short a large collection that needs to be covered in a short period, so prepare your visit carefully.